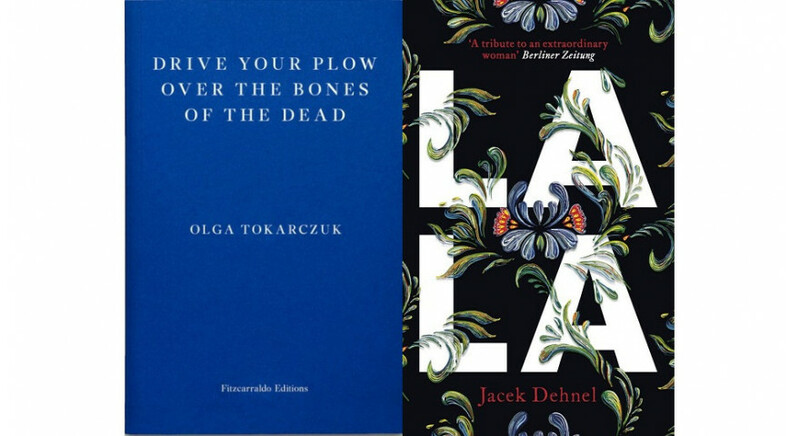 Olga Tokarczuk on the shortlist of The Booker Prize nominees! 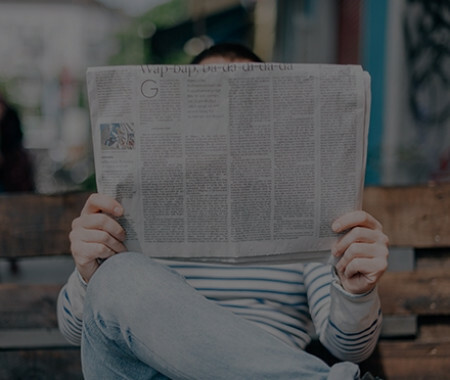 Polish Book Institute promotes reading; supports writers, translators, publishers, librarians, booksellers; those who read and want to read; activates non-readers! 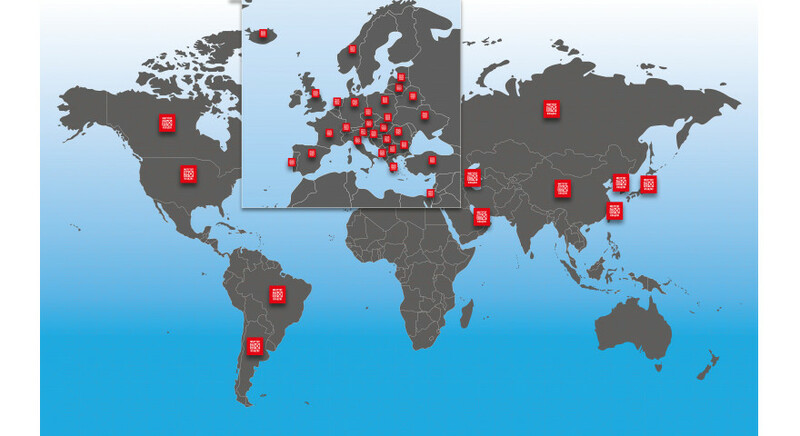 We promote Polish literature across the world. In recent years, almost 1,800 translations of Polish books have been published as part of the ©Poland Translation Program! 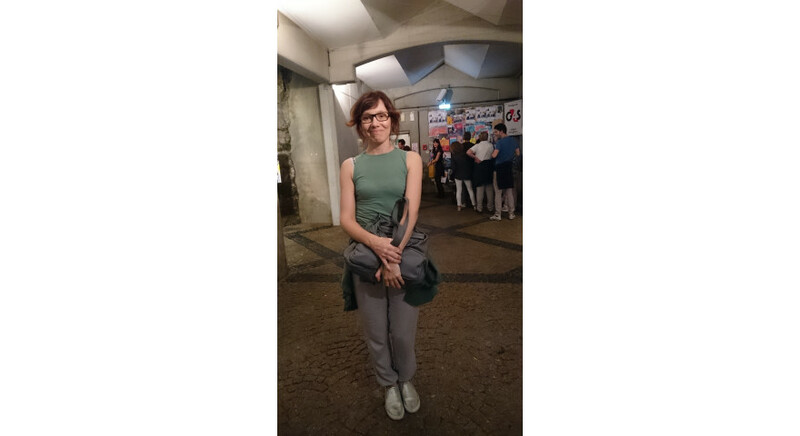 The translation of Olga Tokarczuk’s Bieguni (“Flights”) translated by Teresa Fernandes Światkiewicz has been published in Portugal. The publication was supported by the Book Institute as part of the ©Poland Translation Programme. The translation of Olga Tokarczuk's Bieguni (“Flights”) by Jennifer Croft made it to the longlist of books nominated for the 12th edition of an American translation award called the Best Translated Book Award. 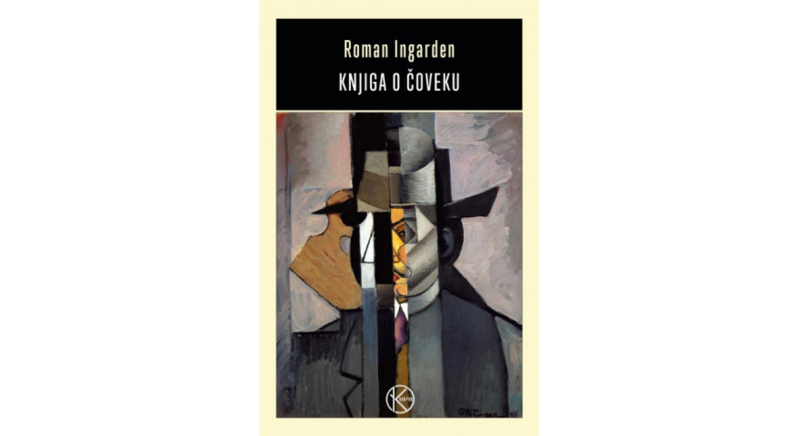 The translation of the novel awarded with a prestigious Booker Award and nominated for the National Book Award has been accomplished with the support of the Book Institute as part of the ©Poland Translation Programme. 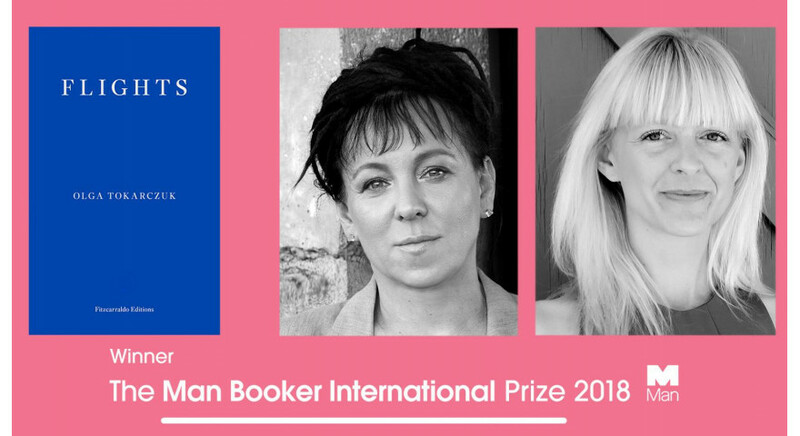 The Man Booker International Prize shortlist of nominees was announced yesterday evening in London. Last year's winner, Olga Tokarczuk, made it onto the list, this time with her novel entitled Prowadź swój pług przez kości umarłych (“Drive Your Plow Over the Bones of the Dead”), translated by Antonia Lloyd-Jones. The verdict will be announced on May 21. 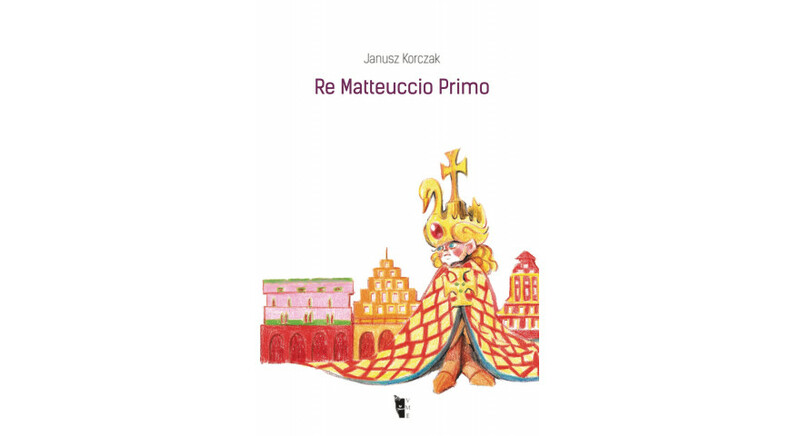 The first full translation of Janusz Korczak's book Król Maciuś Pierwszy (“King Matt the First”) has been published in Italy. 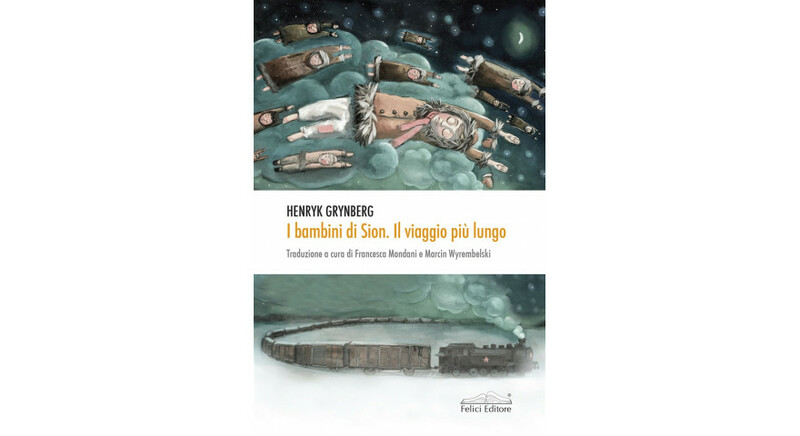 Italian Polish philologists and an Italian philologist together with students of the universities of Bologna, Florence, and the Pedagogical University of Cracow worked on the translation. 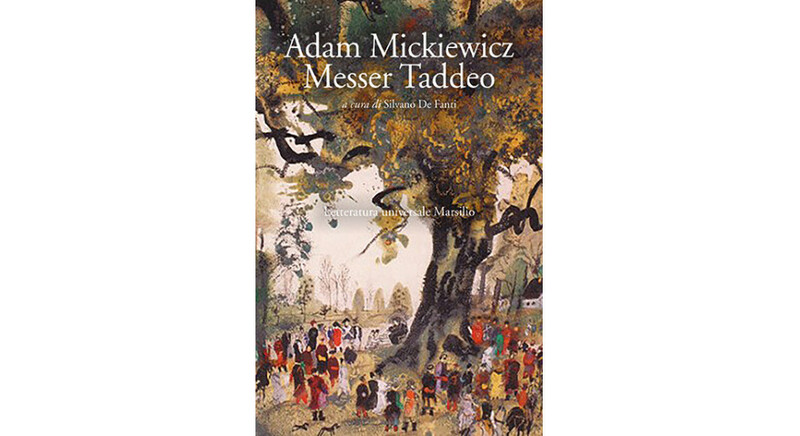 The edition was supported by the Book Institute as part of the ©POLAND Translation Programme. 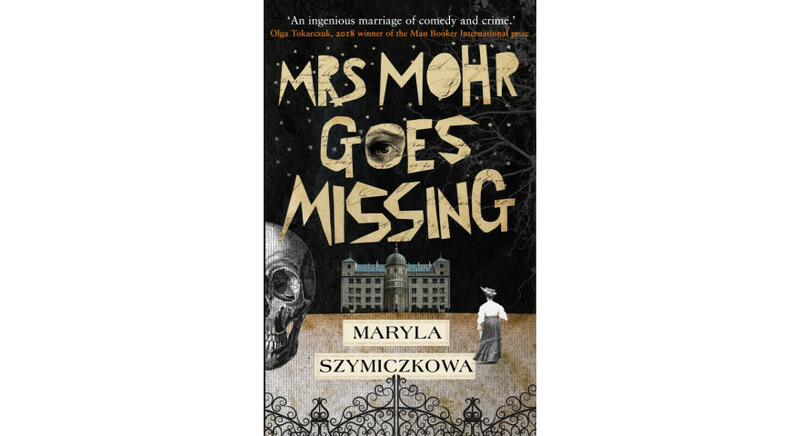 The translation of Maryla Szymiczkowa’s novel Tajemnica domu Helclów (“Mrs Mohr Goes Missing”) translated by Antonia Lloyd-Jones, last year's winner of the Transatlantyk Award, has been published in the United Kingdom. The publication of the book was supported by the Book Institute as part of the ©POLAND Translation Programme. 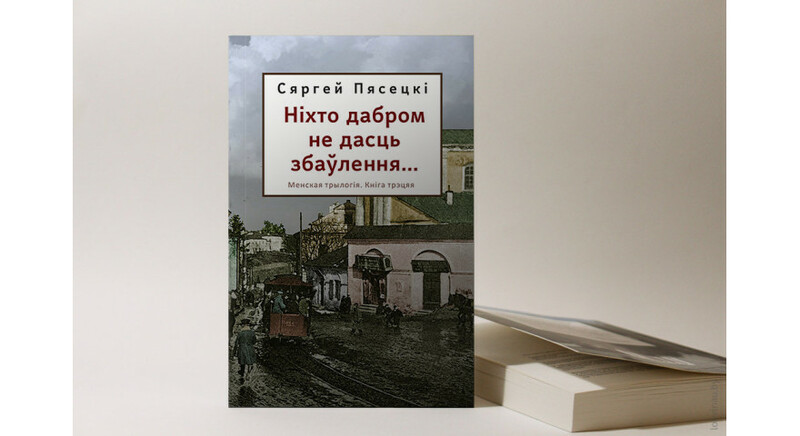 In Belarus, the translation of Sergiusz Piasecki's novel Nikt nie da nam zbawienia (“No One Is to Redeem Us”) was published. 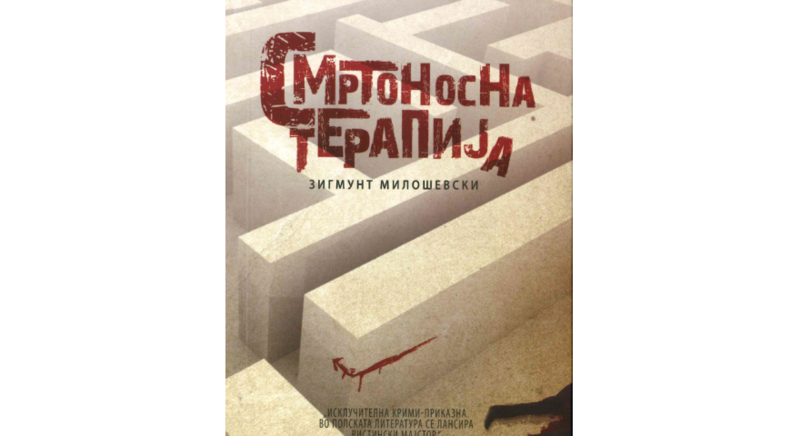 The book was translated by Viktar Sukielovic. The publication was supported by the Book Institute as part of the ©POLAND Translation Programme. Justyna Bargielska, poet and prose writer, talks about her fascination with the universe of Lovecraft and RPGs, her problems with fiction, the difficult art of searching for books in her own home, poetry that makes us cry, the book of her life, as well as about reading in terms of raising children. 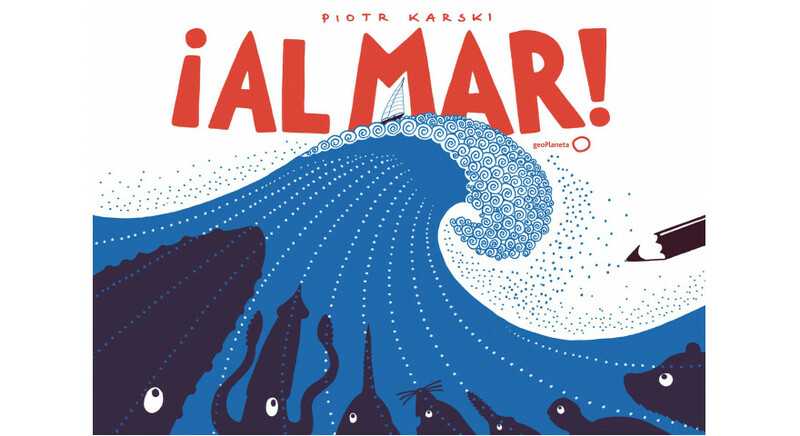 Another success for Polish illustrators in Bologna! 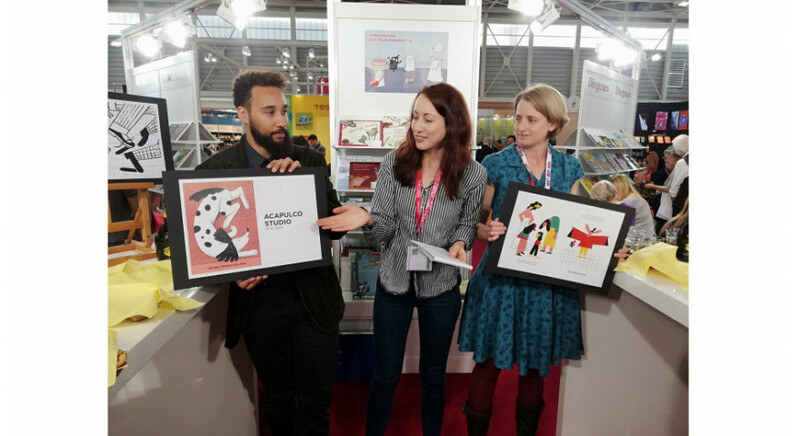 At the Bologna Children's Book Fair, Polish illustrators achieved another success, after the Bologna Ragazzi Award for Dominika Czerniak-Chojnacka in the category of books for the youngest, and took all three places on the podium in the competition of the Swiss publishing house Helvetiq. Olga Drenda, author of books, journalist, translator, and ethnologist, talks about knight chess-piece movement way of reading, love for the literary scrapyard, learning to read story lines, being a capitalist fox, a hauntological asylum, as well as she reveals what her favourite novel is. The Winner of Found in Translation Award Announced! 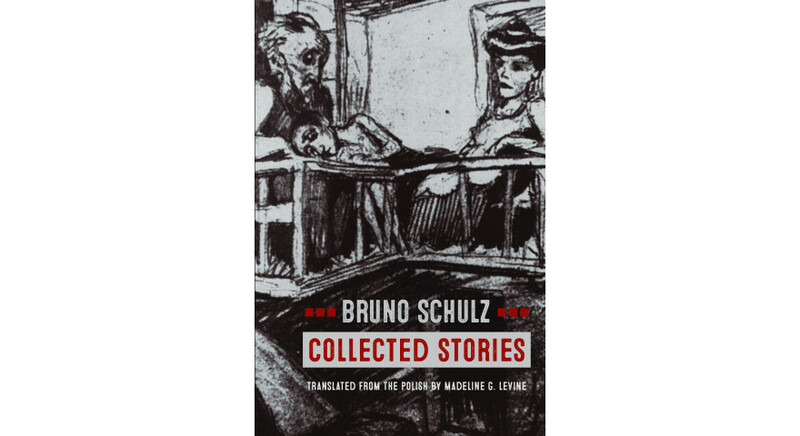 Madeline G. Levine for Bruno Schulz’s “Collected Stories”! 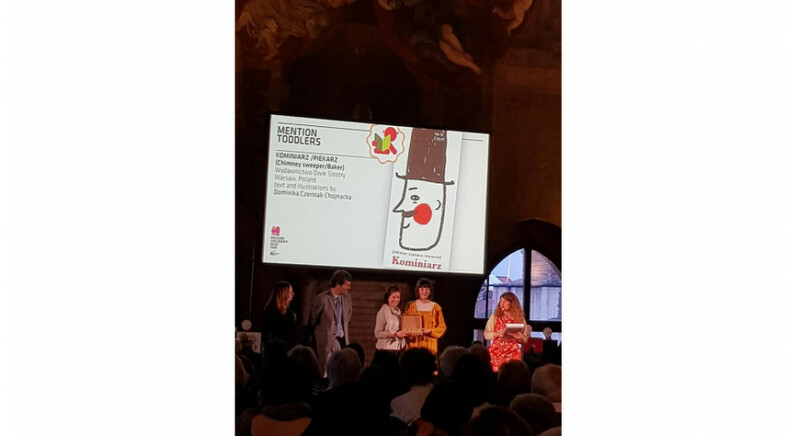 The book Kominiarz/Piekarz (“Chimney Sweep/Baker”) with text and illustrations by Dominika Czerniak-Chojnacka received the special Bologna Ragazzi Award in the category of books for the youngest. 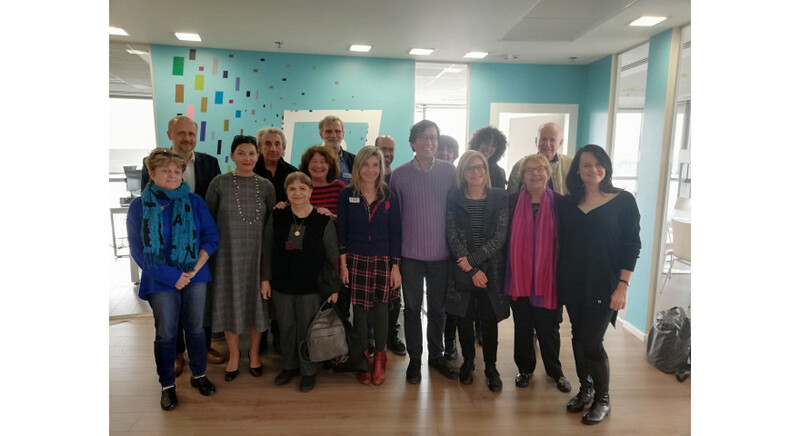 This is a great success for the author and for the whole of the Polish children's book sector - the Bologna Ragazzi Award is the most prestigious industry award in the world in this area of the literary market. The Bologna Children's Book Fair has begun on Monday. This is already the 56th edition of the largest European children's book fair - 1442 exhibitors from 80 countries showed their books here last year, and over the course of four days exactly 27 642 people visited them. 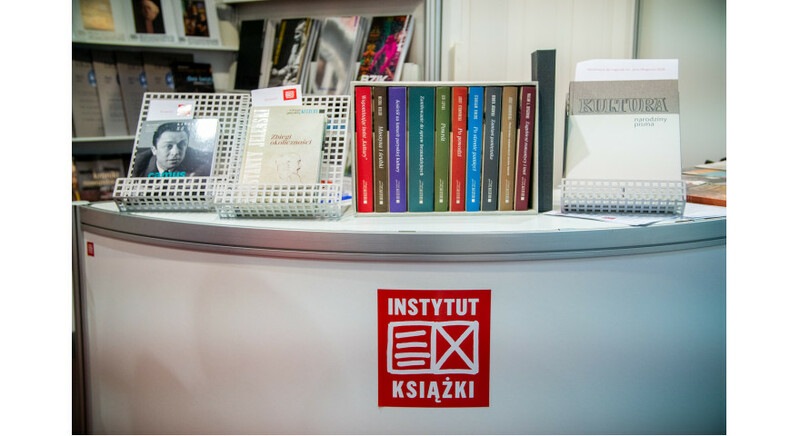 This year, there are as many as 40 publishing houses from Poland among the exhibitors who will present themselves at the Polish collective stand organised by the Book Institute (Hall 30 B21/C22). You can see here a total of nearly 1000 Polish books for the youngest! 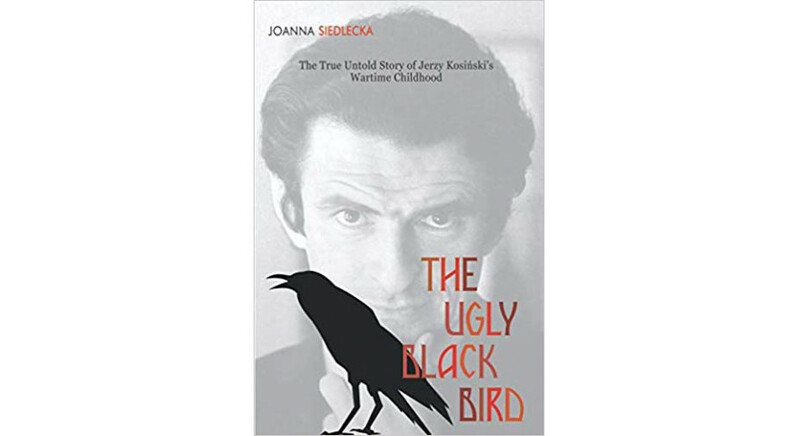 A translation of Joanna Siedlecka's book Czarny ptasior (“The Ugly Black Bird”) by Chester Kisiel has been published in the United States. The publication was supported by the Book Institute. 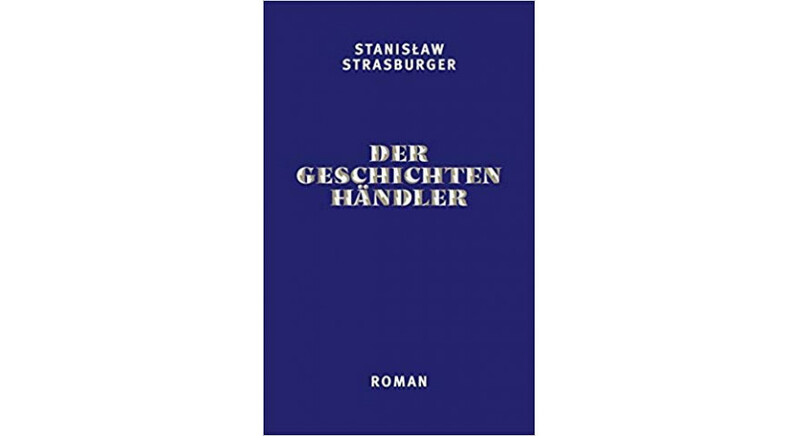 This weekend, Igor Janke and Katarzyna Bonda visited Leipziger Buchmesse, a meeting with Wojciech Kudyba and Tomasz Różycki took place, and Rüdiger Ritter talked about Stanisław Moniuszko's biography, which was published in Germany in February. 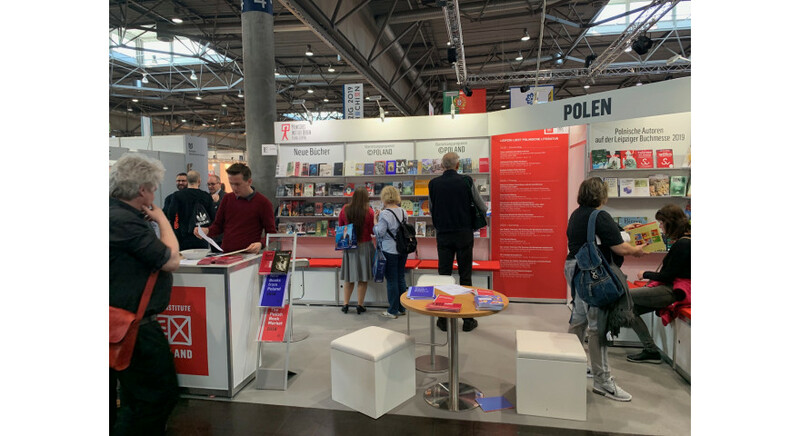 The Polish stand at the Leipzig International Fair was organised by the Book Institute. 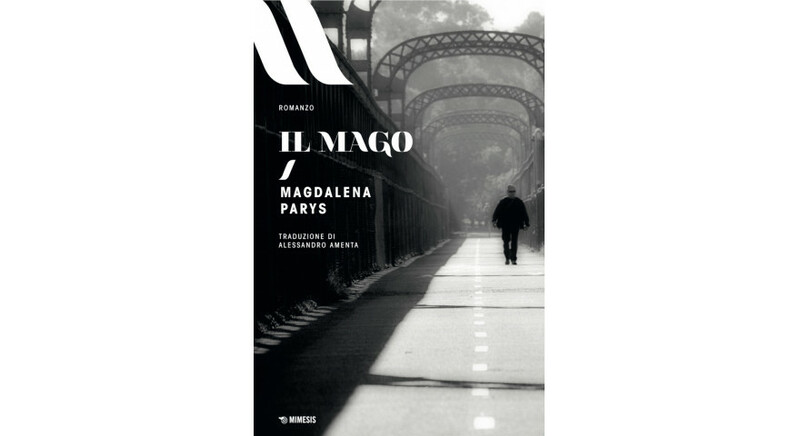 The translation of Magik (“The Magician”), Magdalena Parys’ novel, translated by Alessandra Amenta has been published in Italy. The publication was supported by the Book Institute as part of the ©POLAND Translation Programme. Małgorzata Rejmer, a writer of prose and reporter, talks about readings that shaped her, 19th-century Gorky’s Russia, which reflects modern neoliberalism, the universality of reportage, a wall covered with quotations from Grochowiak, Ratoń, and Plath, the influence of Herta Müller, the technique of Svetlana Alexievich, as well as about her work on Błoto słodsze niż miód (“Mud Sweeter than Honey”), reading in the eternal state of a standby mode, and the benefits of silence. 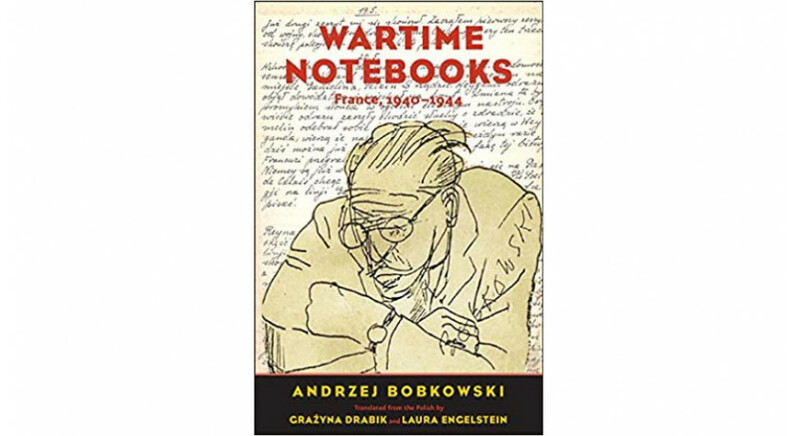 A masterpiece of Polish diary writing, Szkice piórkiem (“Wartime Notebooks”) by Andrzej Bobkowski, has been recently published in the United States. Wartime Notebooks: France, 1940-1944, which is the title of the English translation, was published by the prestigious university publishing house Yale University Press. 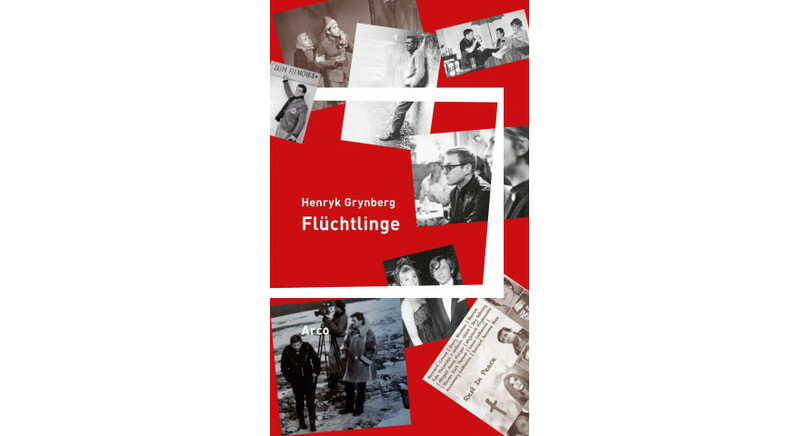 The book was translated by Grażyna Drabik and Laura Engelstein. 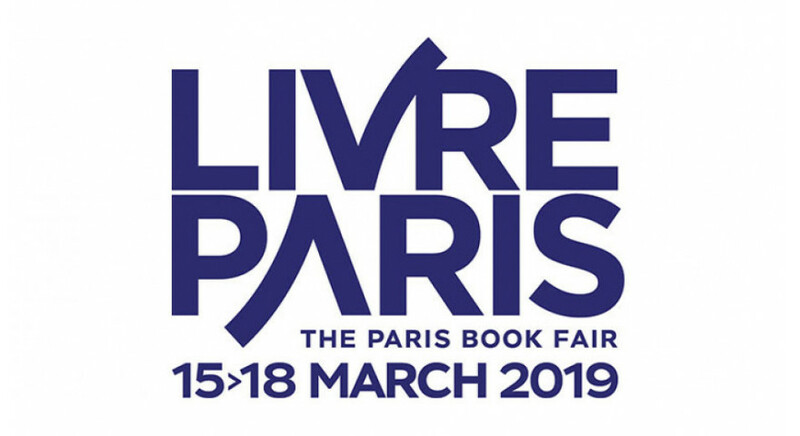 The Book Institute will once again participate in the Livre Paris fair, which begins on Friday. This biggest book event in France attracts more than 160,000 visitors every year, who can take part in meetings organised on 10 thematic stages (Europe, Criminal, Agora, Comics and Manga, Young Adults, Audiobooks, Science for all), collect an autograph from their favourite author (and there are 3900 of them at the fair), and, of course, buy books at one of 391 stands of exhibitors from over 50 countries. 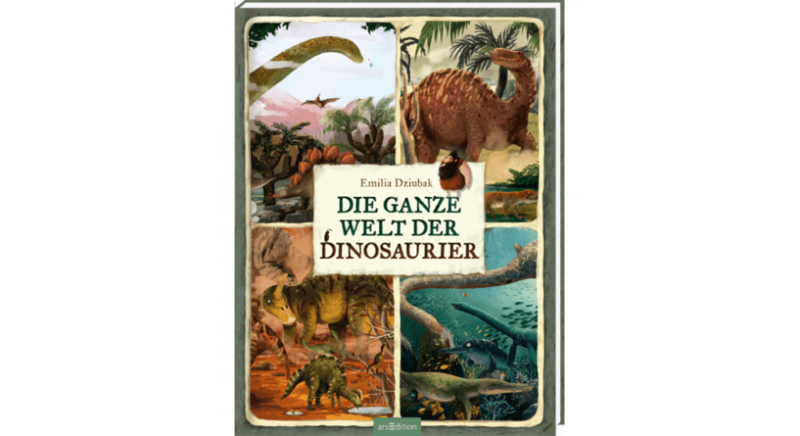 A translation of Opowiem ci, mamo, co robią dinozaury (“Mum, Let Me Tell You What Dinosaurs Do”) has been published in Germany. 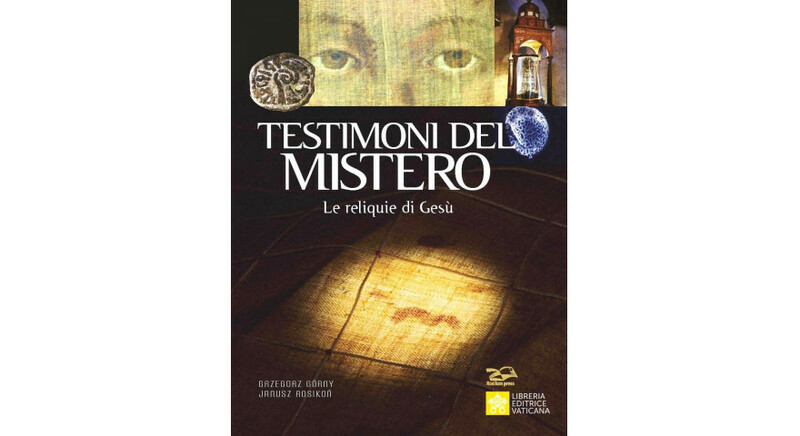 The book was translated by Thomas Weiler. The publication of Emilia Dziubak's book was supported by the Book Institute as part of the ©POLAND Translation Programme. 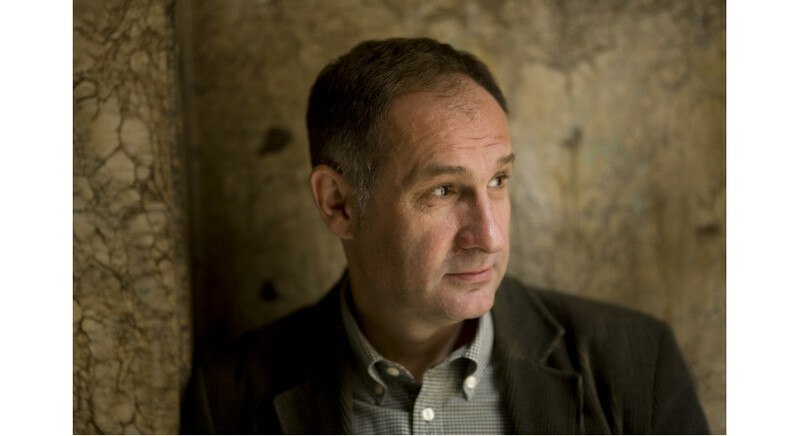 Jacek Gutorow, poet, translator, literary critic, literary researcher, and essayist talks about what he needs literature for, obsessive returns, the pleasures of language, Wyspiański and Kochanowski's topicality, the adventure with Leonard Cohen, and the discovery of St. Thomas Aquinas, as well as about his openness to text and books that lead to other books. The London Book Fair will start on 12th March. 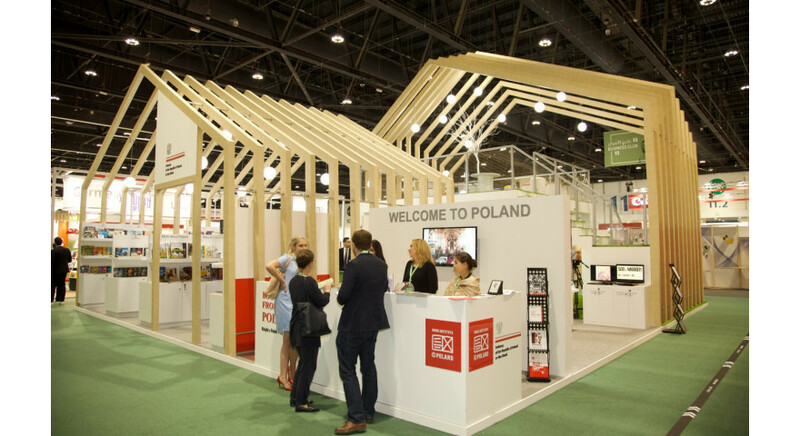 At the Polish national stand, organised by the Book Institute, 26 exhibitors will present their offering. 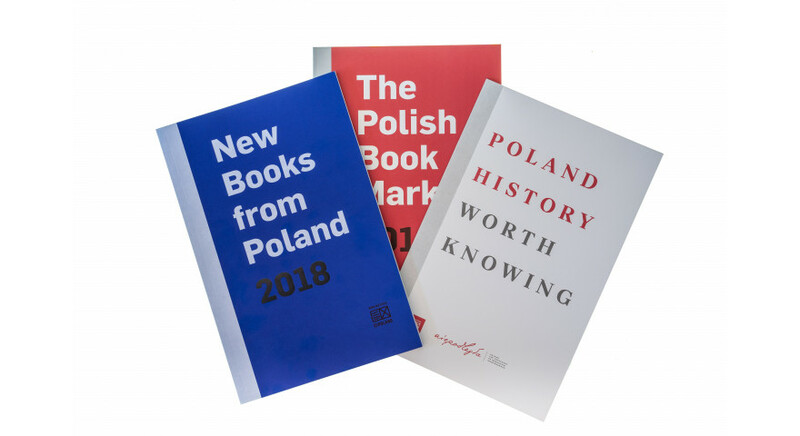 Visitors will also be able to get acquainted with new publications from the New Books from Poland catalogue, a review of books from the ©POLAND Translation Programme (PTCP), as well as international editions of Gustaw Herling-Grudziński's works and promotional materials on the writer, the year of whom we celebrate in 2019. 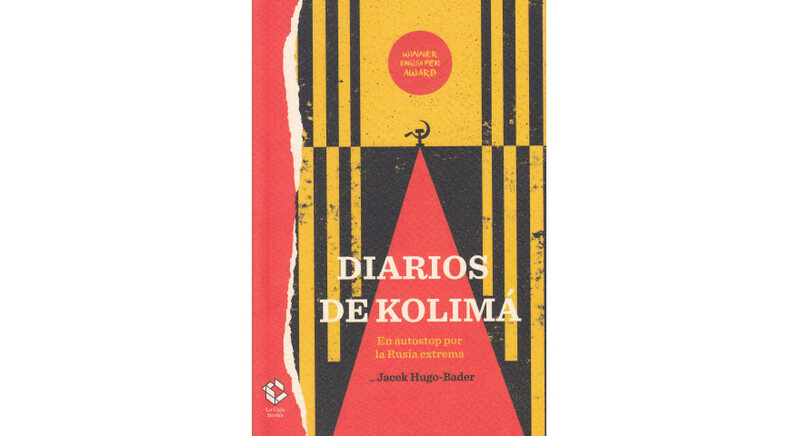 Recently, the translation of Jacek Hugo-Bader's Dzienniki kołymskie (“Kolyma Diaries”) into Spanish has been published. 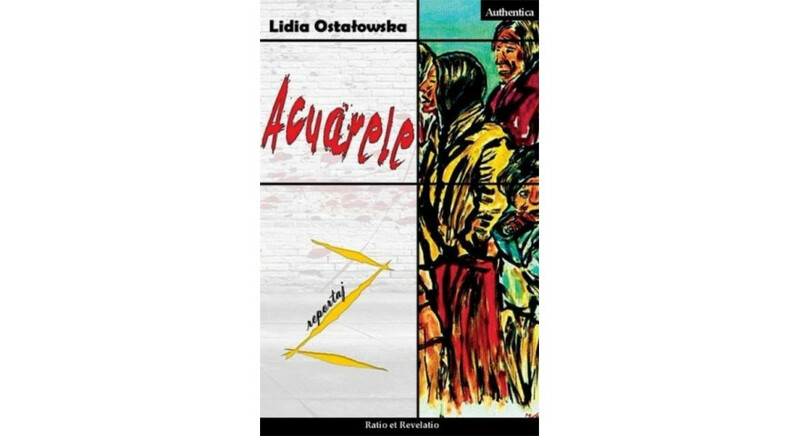 The translation by Ernesto Rubio and Agata Orzeszek was supported by the Book Institute as part of the ©POLAND Translation Programme. A series of events co-organised by the Book Institute will take place over the coming days in the United States. 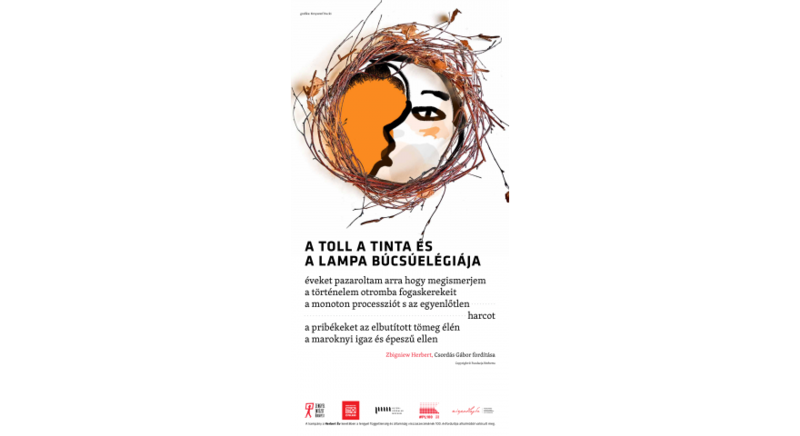 The choice of this year's laureate of the Found in Translation Award (FITA) will be discussed until the end of March. 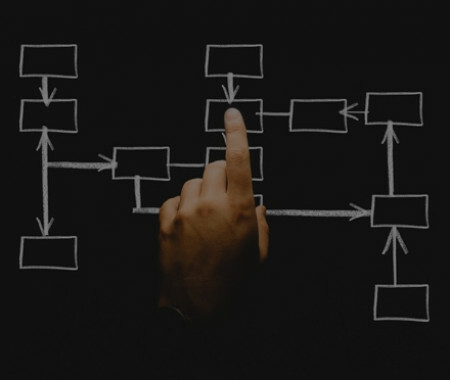 All translations into English that were published last year are taken into account. The idea of "Polish Bookshelf" was born a year ago in Great Britain. 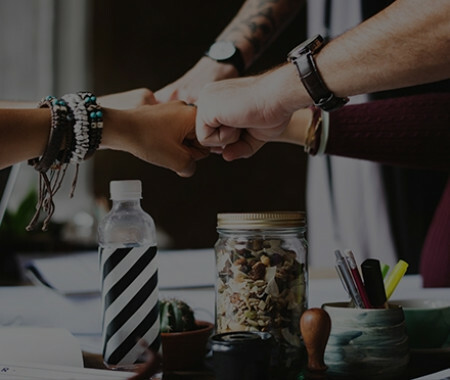 By establishing cooperation with librarians and encouraging them to enrich their collections with books by Polish writers, we wish to reach readers of world libraries: to gain new audiences for Polish literature, to show its diversity and charm, to promote knowledge about Poland, and to build positive associations with it. Now "Bookshelf" officially starts in the United States. The 20th jubilee Vilnius Book Fair took place on 21st-24th February in Vilnius. The programme of the event included many Polish touches, many of which were created thanks to the involvement of the Polish Institute in Vilnius. 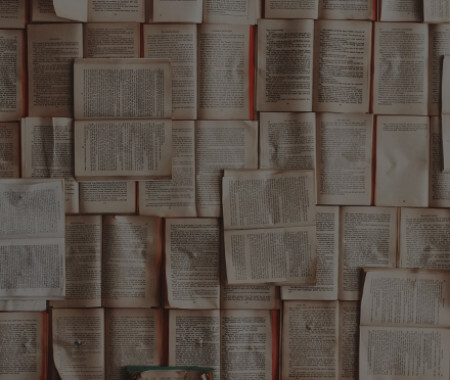 On the eve of the Fair, the Lithuanian Literature Translators' Association announced that a group of literature experts had compiled a list of "The best translations of 2018". 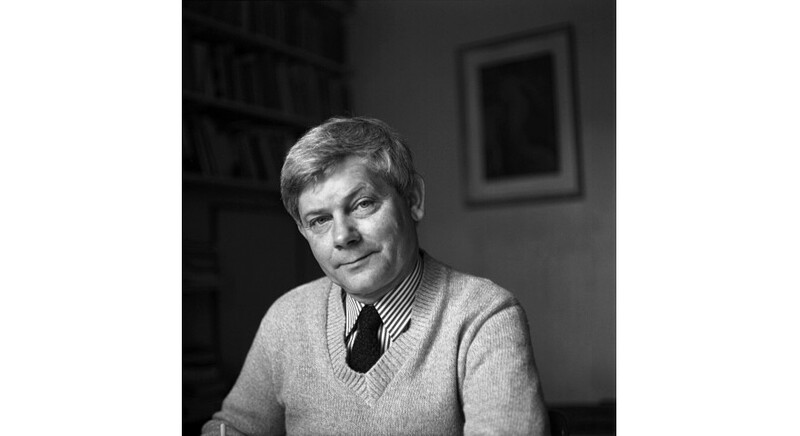 The list includes Wiesław Myśliwski's novel Ostatnie rozdanie ("Paskutinis išdalijimas" [The Last Deal]) translated by the eminent translator Kazys Uscila. 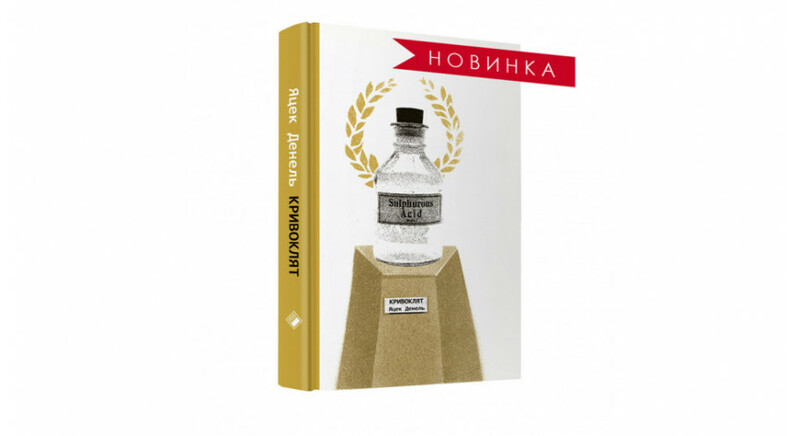 Its publication was supported by the Book Institute as part of the ©POLAND Translation Programme. 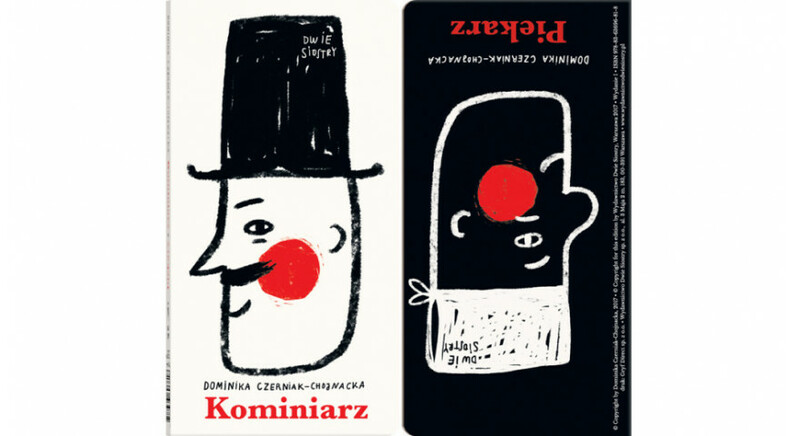 The book Kominiarz/Piekarz (“Chimney Sweep, Baker”) by Dominika Czerniak-Chojnacka has received honourable mention in the category of books for the youngest (TODDLER) in the BolognaRagazzi Awards 2019! 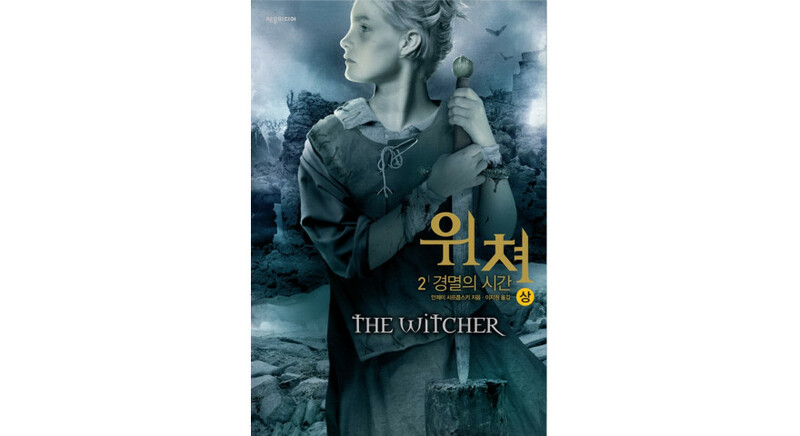 In South Korea, the translation of Chrzest ognia (“Baptism of Fire”) was published. The book was translated by Jiwone Lee. The publication of Andrzej Sapkowski's book was supported by the Book Institute as part of the ©POLAND Translation Programme. Olga Tokarczuk made it to the grand final of the international award of the European Bank for Reconstruction and Development (EBRD). The jury appreciated the novel Drive Your Plough Over the Bones of the Dead. 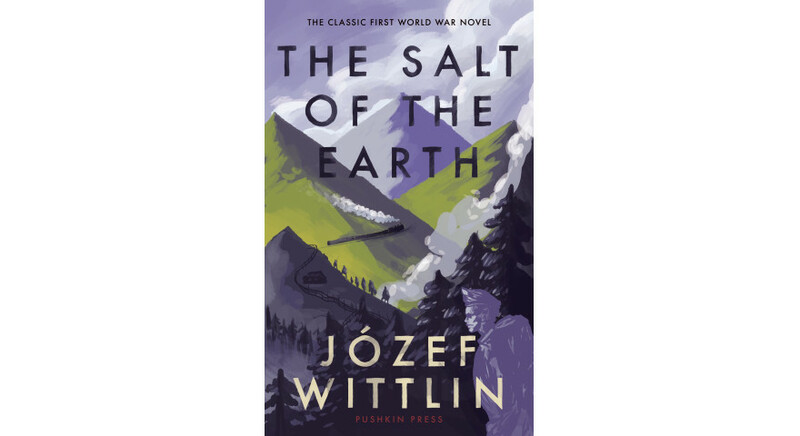 The novel was translated by Antonia Lloyd-Jones, a winner of last year's Transatlantic Prize awarded by the Polish Book Institute. The winner will be announced on March 7th. 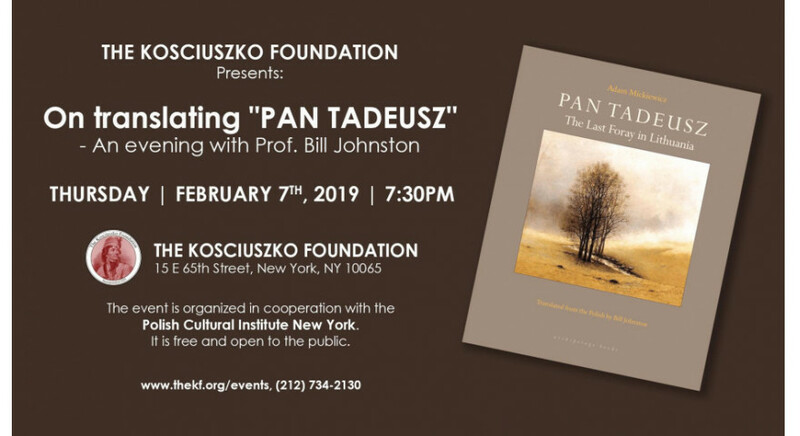 This Thursday, at 7.30 p.m. at the Kosciuszko Foundation's headquarters in New York, a meeting will be held with Bill Johnston, the author of the latest translation of Pan Tadeusz into English, which was created thanks to the support of the Polish Book Institute within the ©POLAND Translation Programme. The meeting will be devoted to challenges during the translation of Mickiewicz's masterpiece and the cultural significance of the poem. 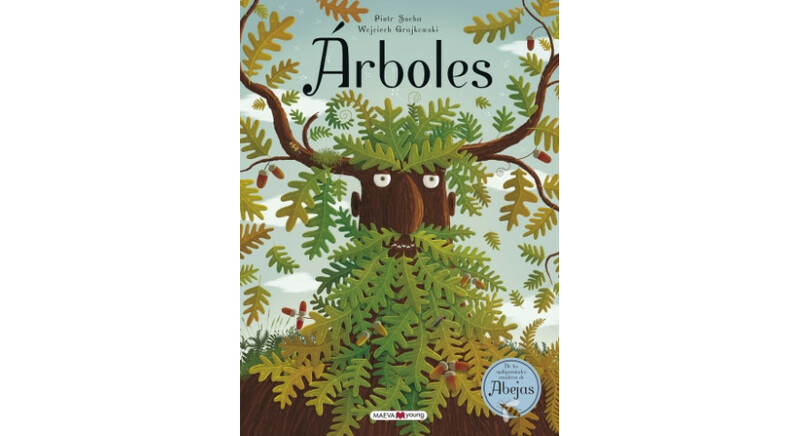 Association des librairies Sorcières (ASLJ; an association of independent bookshops specialising in children's and youth literature, bringing together 52 bookshops from all over France) together with Association des bibliothécaires de France (ABF; French Librarians' Association) have announced a list of 30 titles nominated for The Prix Sorcières, which has been awarded since 1986. 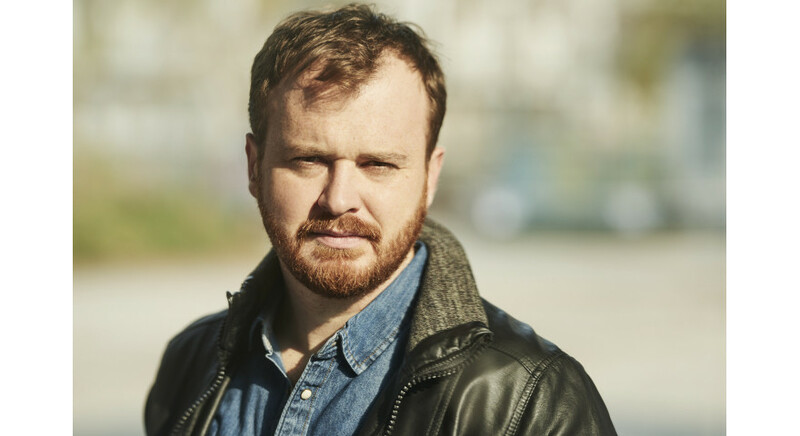 Adam Zagajewski's Asymetria (“Asymmetry”), translated by Clare Cavanagh, was one of the finalists of the National Book Critics Circle Awards 2018 in the field of poetry. Could your first visit to the library be the beginning of a great life-long adventure? We believe so! 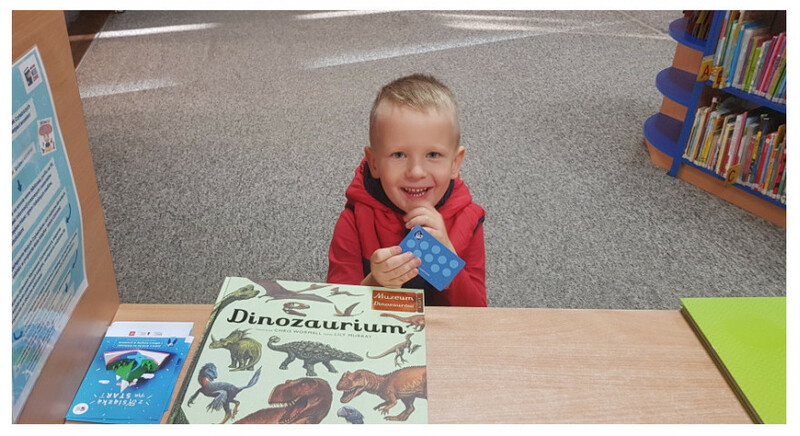 That's why in September 2018, as part of the "Small Book - Great Man" campaign, we launched a pilot project aimed at both children starting pre-school education and their parents. 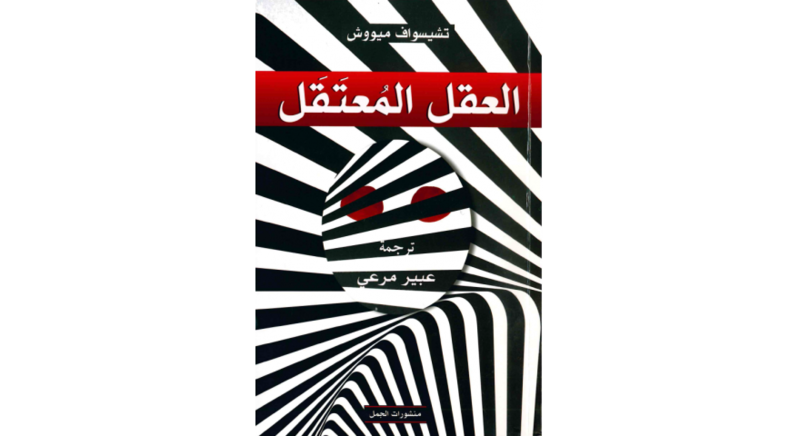 The translation of Zniewolony umysł (“The Captive Mind”) into the Arabic language has recently been published. 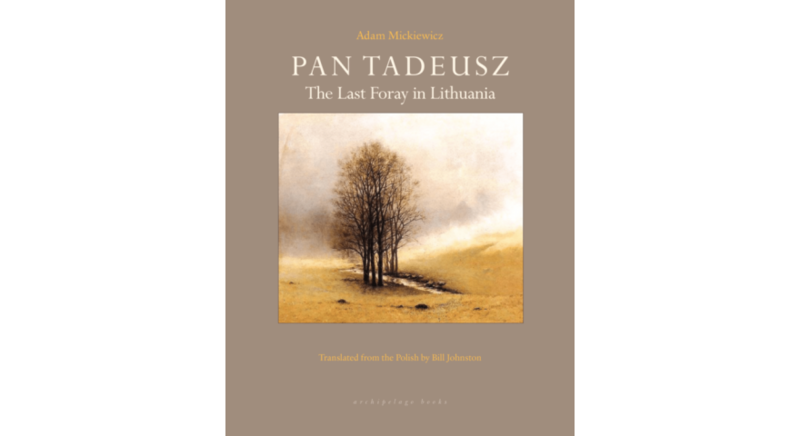 The translation of Czesław Miłosz's classic essay was supported by the Book Institute as part of the ©POLAND Translation Programme. The Polish Book Institute in EURead! 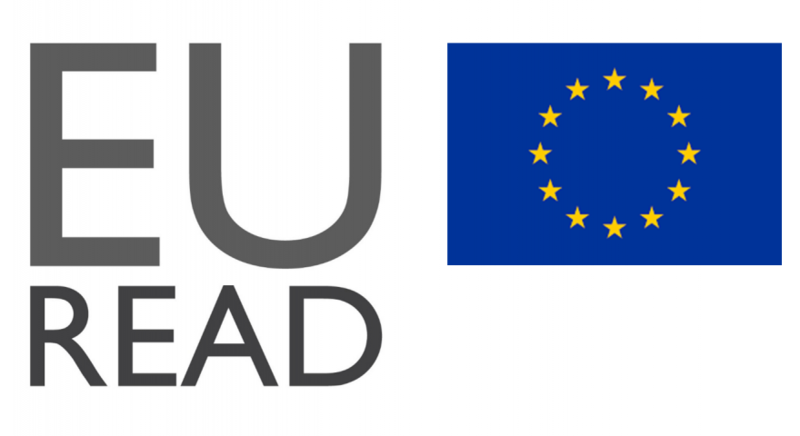 The Book Institute has been accepted as a member of EURead, an association of organisations promoting reading in the European Union. Janusz Drzewucki, poet, literary critic, editor of the "Twórczość" monthly, talks about his complicated adventure with Borges, novels that recently delighted him, Wacław Berent, who deserved the Nobel Prize, and a book that he read in twenty-four hours with a break for sleep. 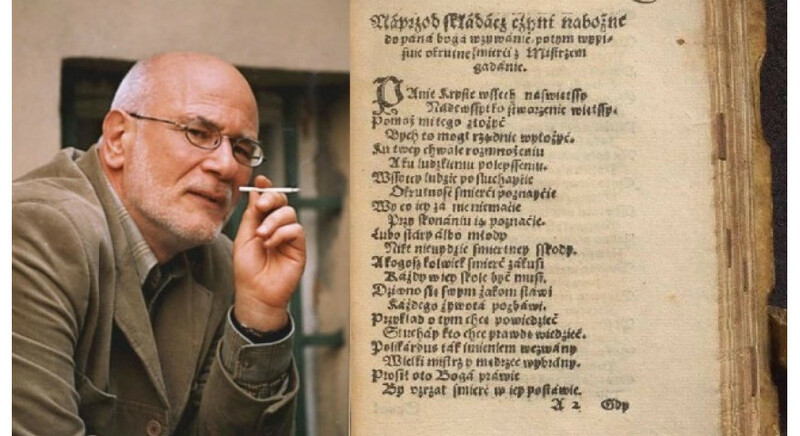 The translation of Król (“The King”) by Gábor Körner has been published in Hungary. 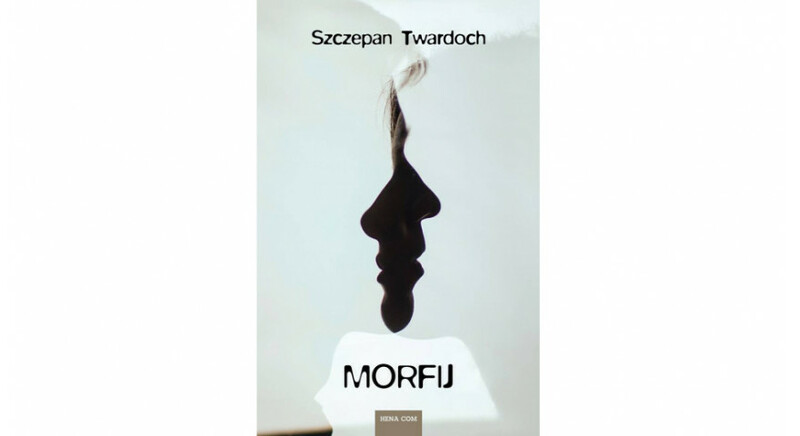 The publication of Szczepan Twardoch's novel was supported by the Book Institute as part of the ©POLAND Translation Programme. 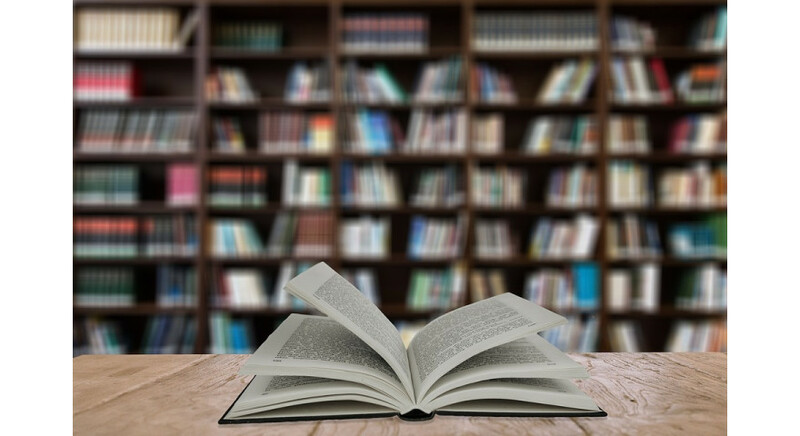 On the occasion of the 100th anniversary of Poland's regaining independence, the Ministry of Foreign Affairs’ Department for Cooperation with Polish Diaspora and Poles Abroad founded a hundred identical library sets for educational centres operating within Polish communities outside Poland. 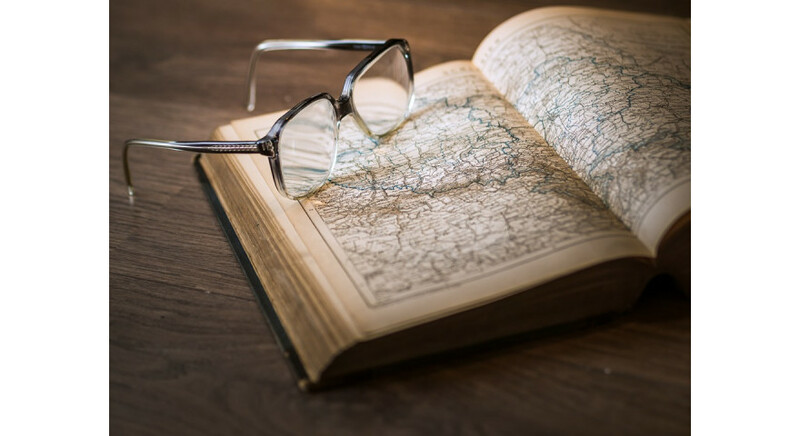 The Polish Book Institute, the Polish Cultural Institute London and the Polish Cultural Institute New York are now accepting nominations for this year’s edition of the Found in Translation award, honoring the best translation of Polish literature into English in 2018. A translation of the novel by Szczepan Twardoch Morfina (“Morphine”) has been published in Croatia. 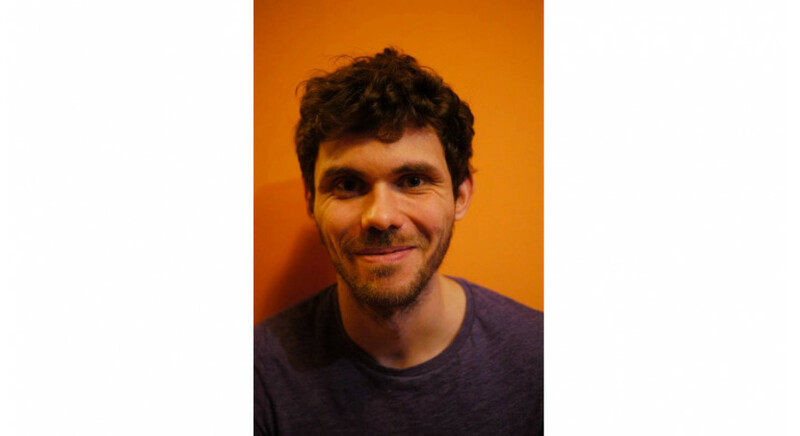 Emilio Nuicia's translation was supported by the Book Institute as part of the ©POLAND Translation Programme. 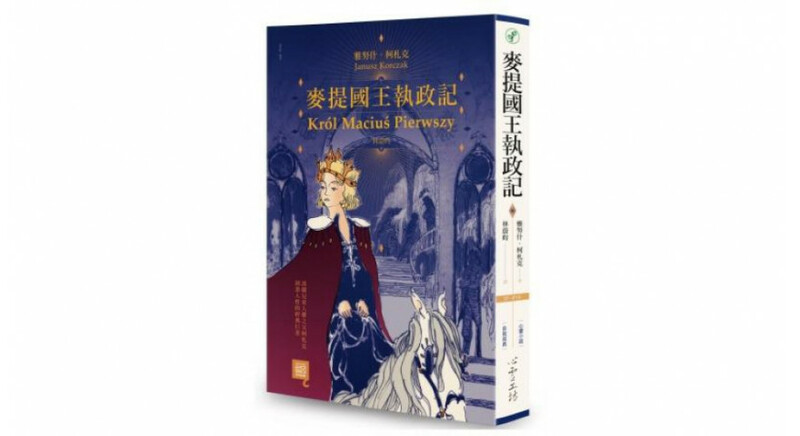 A translation of Król Maciuś Pierwszy (“King Matt the First”) was published in Taiwan. 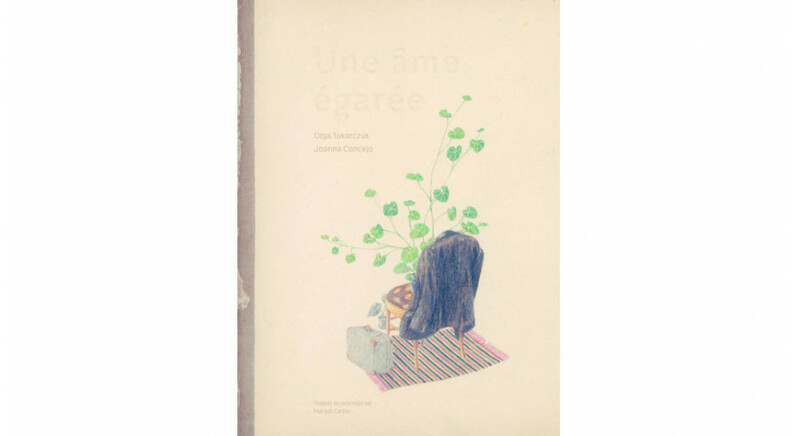 The book was translated by Wei-Yun Lin-Górecka. The publishing of Janusz Korczak's book was supported by the Book Institute as part of the ©POLAND Translation Programme. 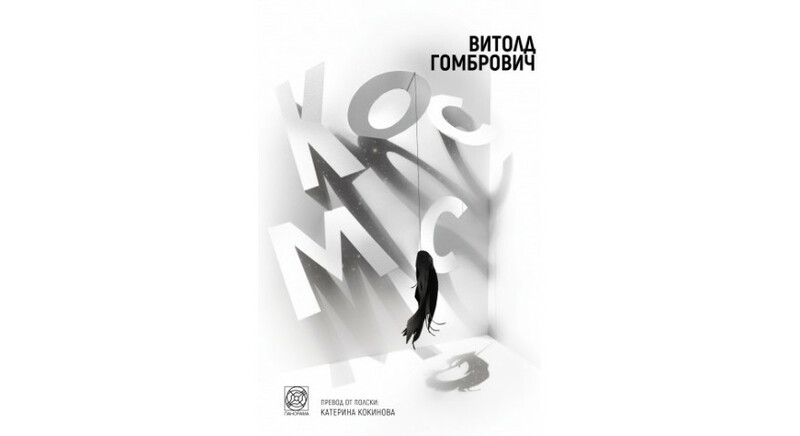 The translation of Kosmos (“Cosmos”) has been published in Bulgaria. 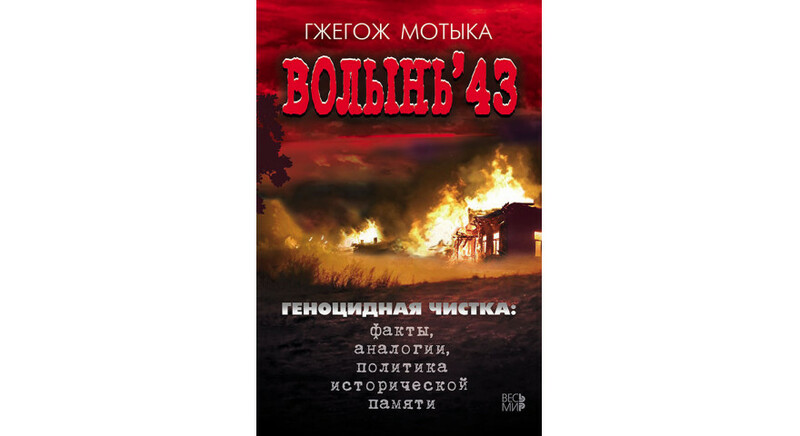 The book was translated by Katerina Kokinova. The publication of Witold Gombrowicz's work was supported by the Book Institute as part of the ©POLAND Translation Programme. 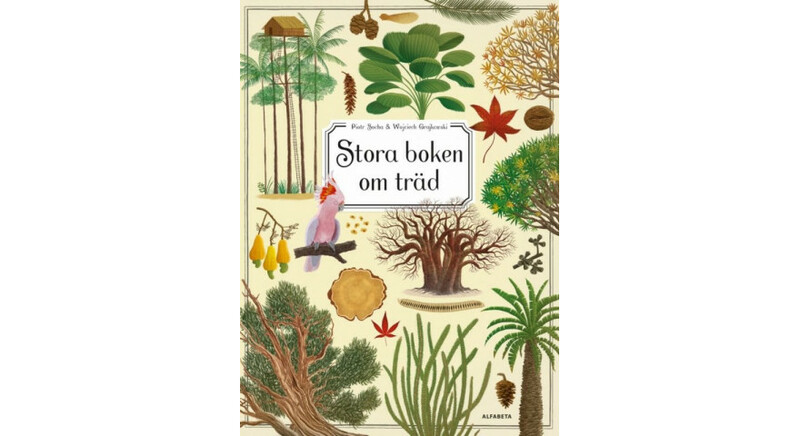 In Sweden, the translation of Drzewa (‘The Book of Trees’) was published. The book was translated by Tomas Håkanson. The publication of the book by Paweł Socha (illustrations) and Wojciech Grajkowski (text) was supported by the Book Institute as part of the ©POLAND Translation Programme. The translation of Rok myśliwego (“A Year of the Hunter”) has been published in Estonia. The book was translated by Hendrik Lindepuu. 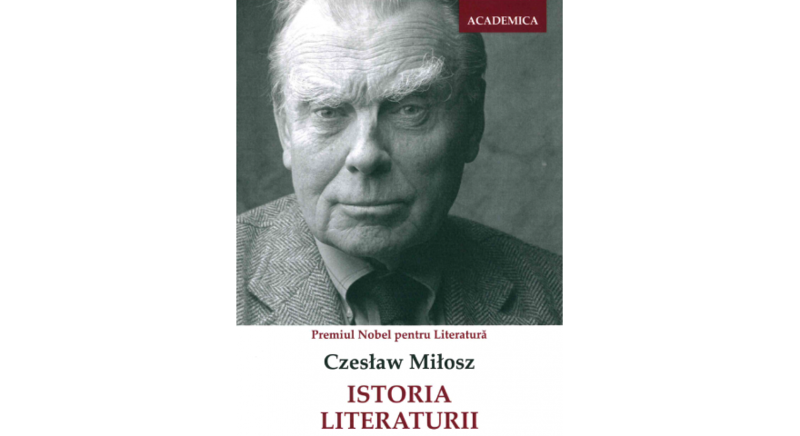 The publication of Czesław Miłosz's work was supported by the Book Institute as part of the ©POLAND Translation Programme. Jedenastu poetów, muzycy, aktorzy spotkają się w niedzielę w samo południe na dużej scenie Teatru im. Juliusza Słowackiego w Krakowie, by razem z Anną Dymną i tłumem bywalców świętować 600. 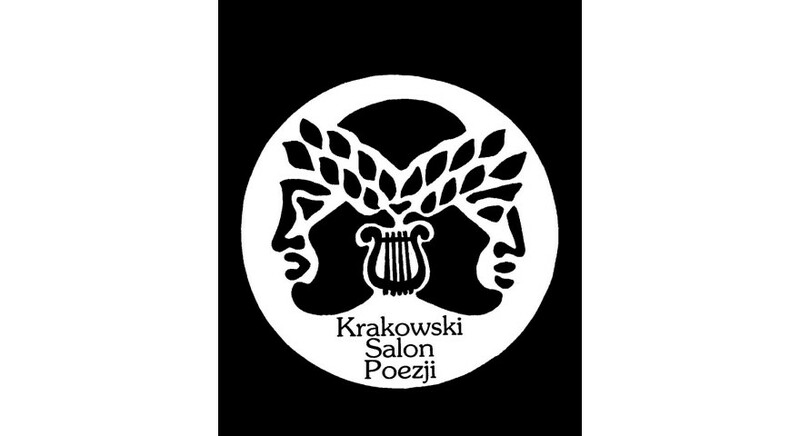 Krakowski Salon Poezji. „Moje chwile wolności” – to temat przewodni jubileuszowego spotkania. 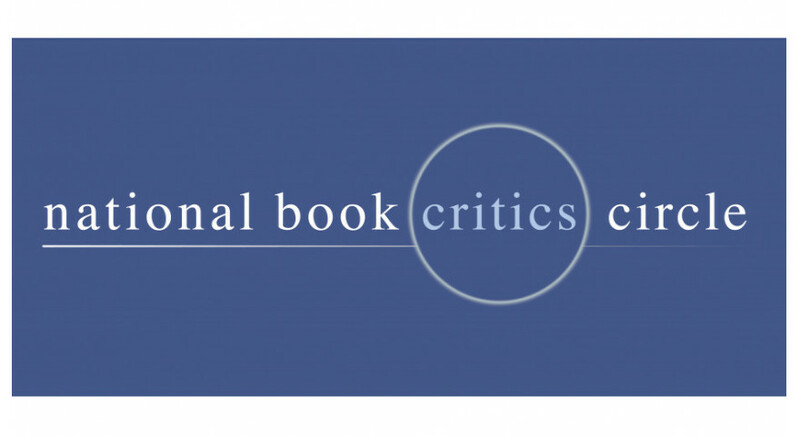 Nominations for the PEN America Awards were announced yesterday. In the category "Poetry in Translation", among the ten nominated entries, there were as many as three translations of works by Polish authors: a collection of poems by Jacek Dehnel Aperture translated by Karen Kovacik, Asymmetry by Adam Zagajewski, and Pan Tadeusz: The Last Foray in Lithuania translated by Bill Johnston. 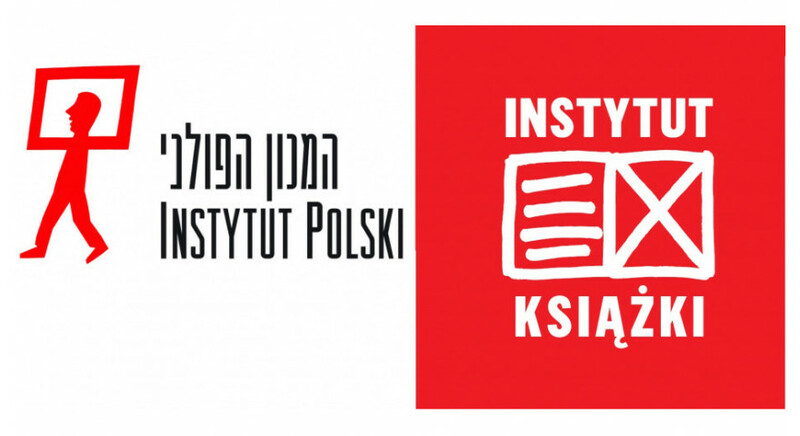 The latter was supported by the Book Institute as part of the ©POLAND Translation Programme. 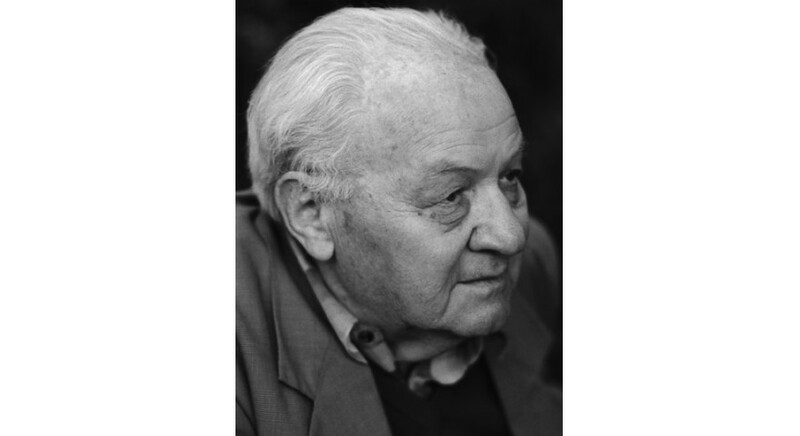 A translation of Esej o duszy polskiej (“An Essay on the Polish Soul”) by Constantin Geambaşu has been published in Romania. 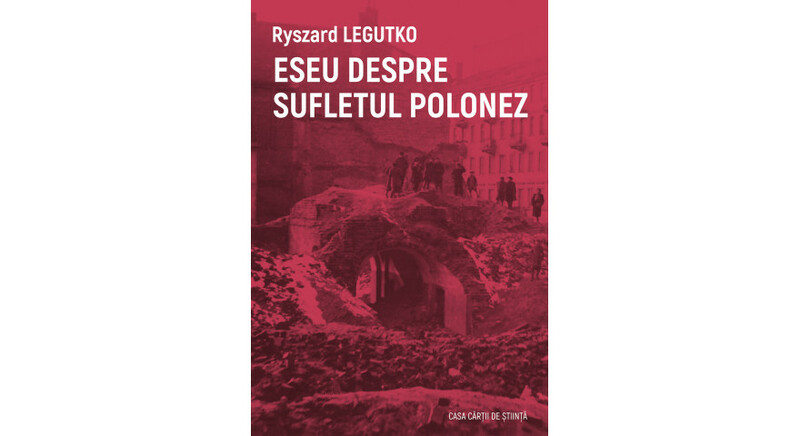 The publication of Ryszard Legutko's work was supported by the Book Institute as part of the ©POLAND Translation Programme. 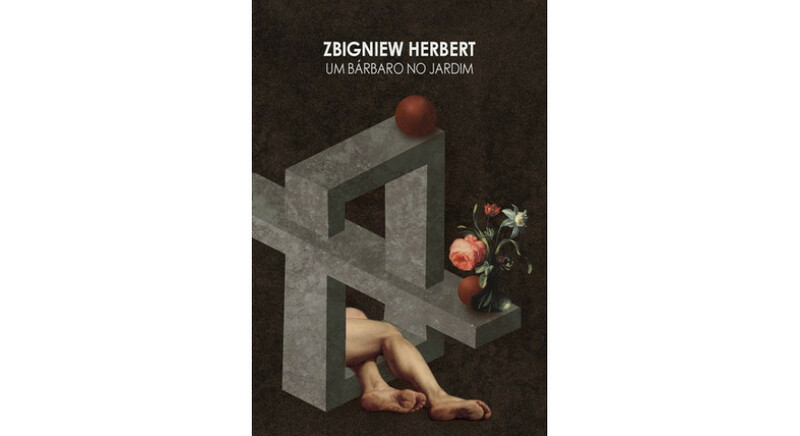 The translation of the classic collection of essays by Zbigniew Herbert, Barbarzyńca w ogrodzie (“Barbarian in the Garden”), translated by Henryk Siewierski, was published in Brazil. The publication was supported by the Book Institute as part of the ©POLAND Translation Programme. 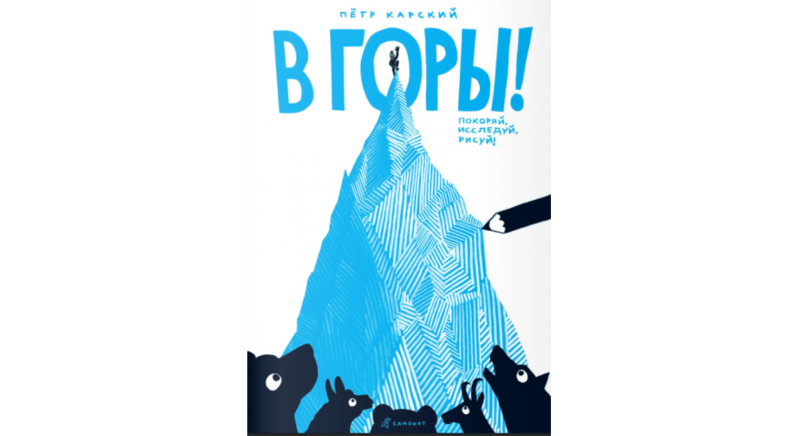 The 20th International Book Fair Non/Fiction begun on Wednesday, November 28th, at the Moscow Artist's House. 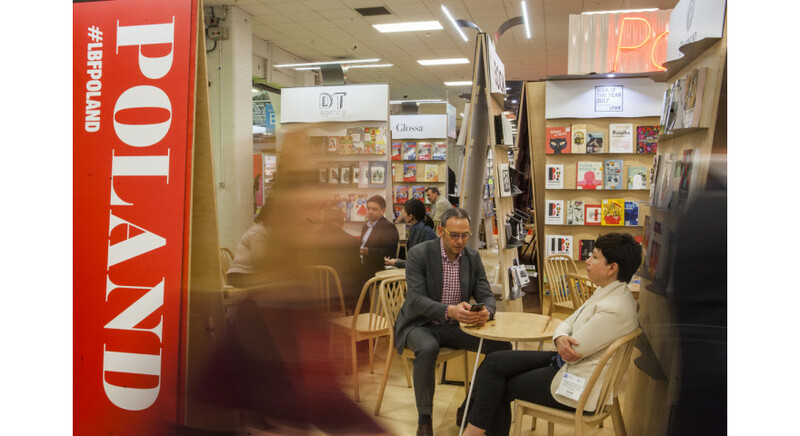 The most important industry event of the Russian book market is expected to attract 300 exhibitors from 20 countries and more than 30,000 visitors - professionals and book lovers. 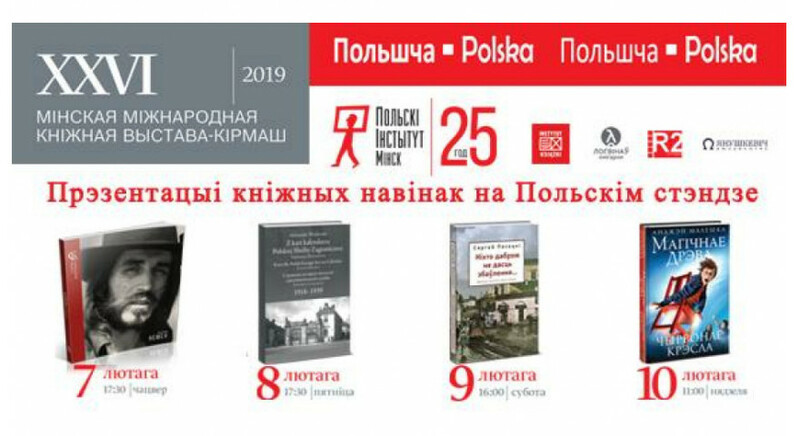 The Polish stand at Non/fiction is organised by the Book Institute with the support of the Polish Institute in Moscow. Włodzimierz Kowalewski, prose writer, literary critic and teacher, talks about novels he is currently working on, about Zbigniew Herbert as a generational idol and authority, his fascination with Żeromski and Julian Wołoszynowski, the disappearing ethos of the writer-sage, the impression À rebours by Joris-Karl Huysmans made on him in his youth, the literature that avoids important subjects and about what is missing in Polish literature after 1989. 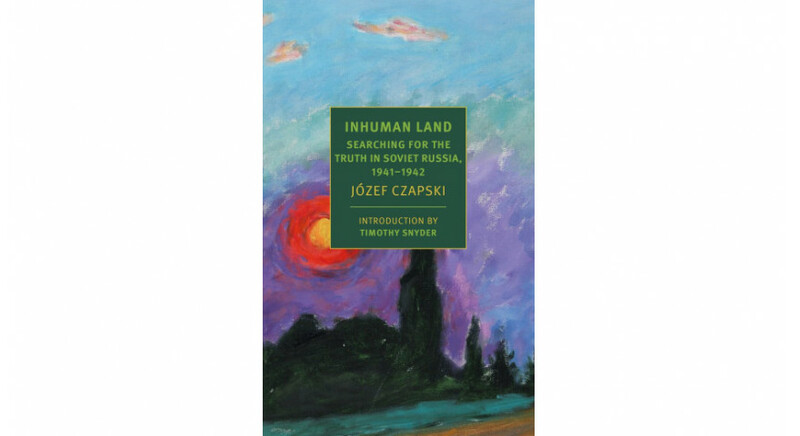 In the United States, a translation of Na nieludzkiej ziemi (“Inhuman Land”) has been released within the prestigious NYRB Classics series. 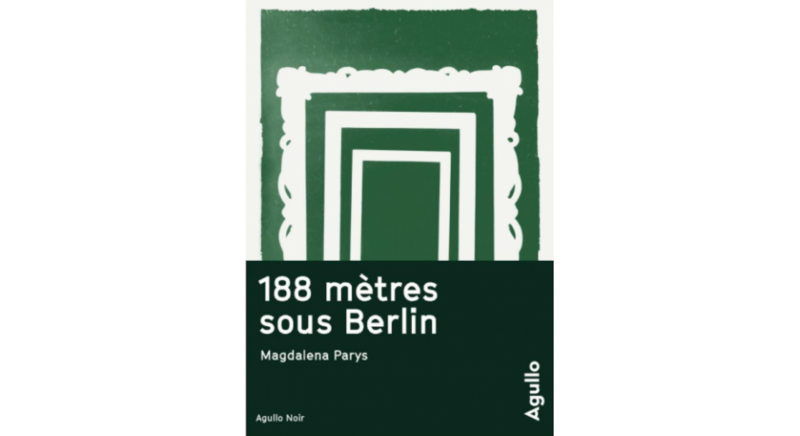 The book was translated by the winner of this year's Transatlantyk Award, Antonia Lloyd-Jones. 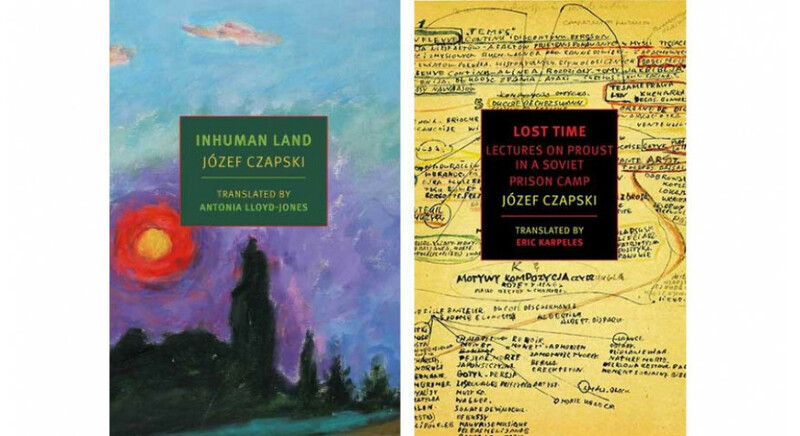 The publication of Józef Czapski's work was supported by the Book Institute as part of the ©POLAND Translation Programme. Writer Anna Kańtoch, five-time winner of the Janusz A. Zajdel Award, talks about books that have made an impression on her in recent years, militia crime stories read in her childhood, debt to Agatha Christie, J.R.R. Tolkien, and Andrzej Sapkowski, and reveals which masterpiece of Polish literature she was not able to struggle through. A translation of the book W morze! (“To the Sea!”) was published in Spain. 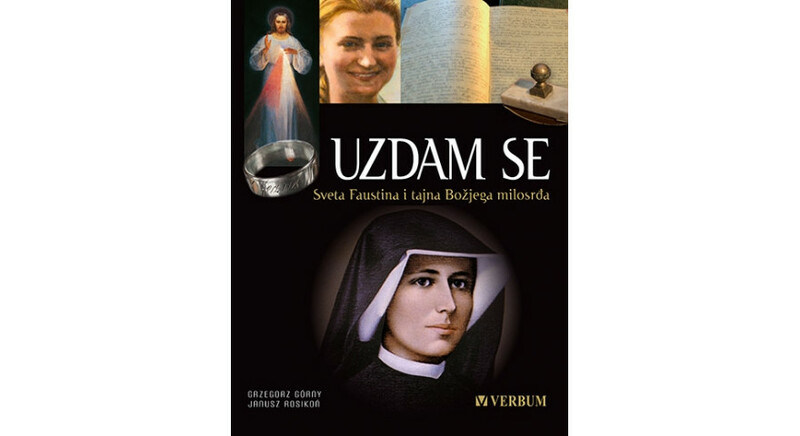 The book was translated by Katarzyna Mołoniewicz and Abel Murcia Soriano. 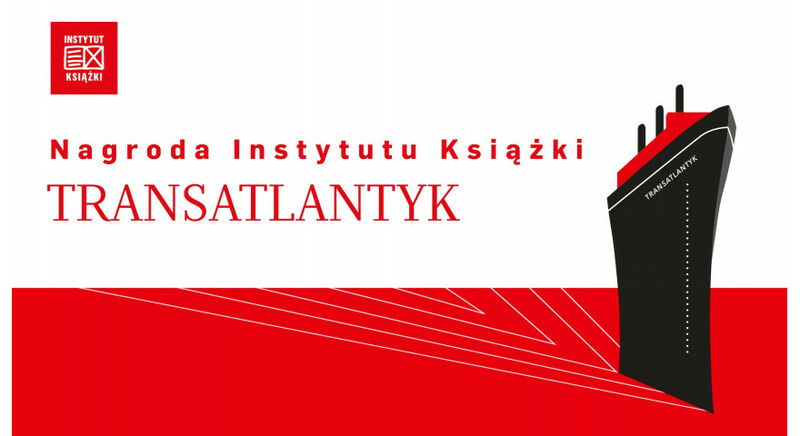 The publication of Piotr Karski's book was supported by the Book Institute as part of the ©POLAND Translation Programme. Sixty authors, about 100 years of Polish literature after 1918 – on Tuesday, there was a premiere of the book Being Poland: A New History of Polish Literature and Culture since 1918, a history of Polish contemporary literature. Antonia Lloyd-Jones and Jennifer Croft reached the final of the Warwick Prize for Women in Translation. 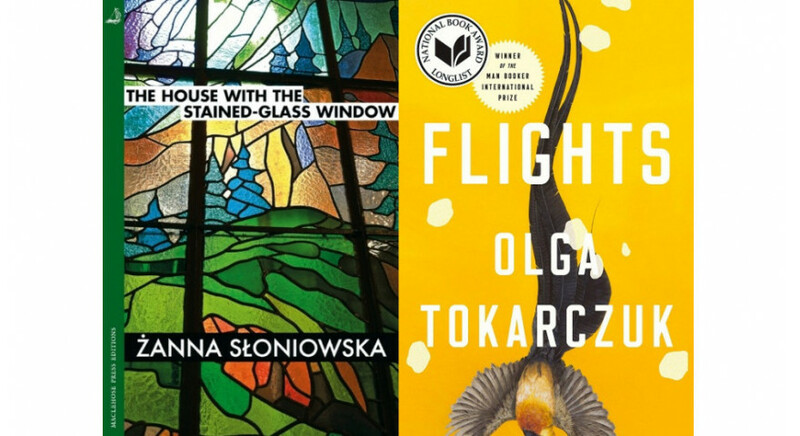 The translators were nominated for translations of Żanna Słoniowska's novel Dom z witrażem (The House with the Stained-Glass Window) and Olga Tokarczuk Bieguni ("Flights"), respectively. Both translations were published thanks to the support of the Book Institute as part of the ©POLAND Translation Programme. Thirteen thousand ‘Reading Layettes’ distributed to three-year-olds! 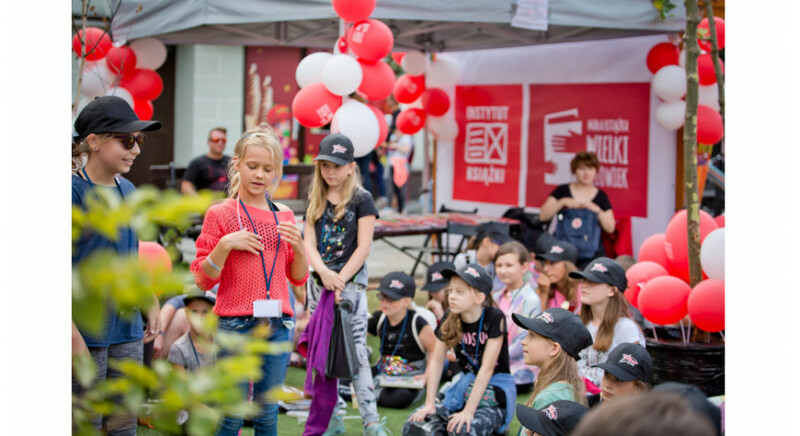 Since September, more than thirteen thousand three-year-olds from all over Poland have received Reading Layettes as part of the Book Institute's social campaign "Small Book - Great Man". The aim of the campaign is to encourage parents to visit libraries frequently and read daily with their children. 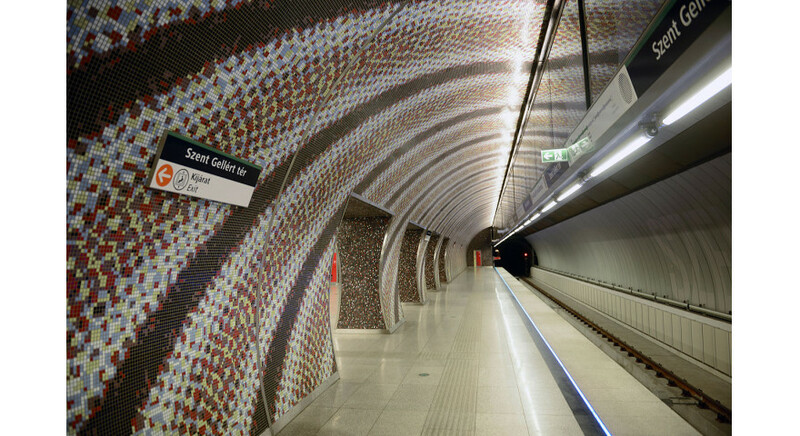 From 5 to 18 November, passengers of the London Underground will be able to read excerpts from Zbigniew Herbert's The Envoy of Mr. Cogito translated by Alissa Valles, Jarosław Marek Rymkiewicz's Oktostychy translated by Marek Kazmierski, as well as a new translation of Pan Tadeusz by Bill Johnston, winner of the Transatlantyk and Found in Translation awards granted by the Book Institute. 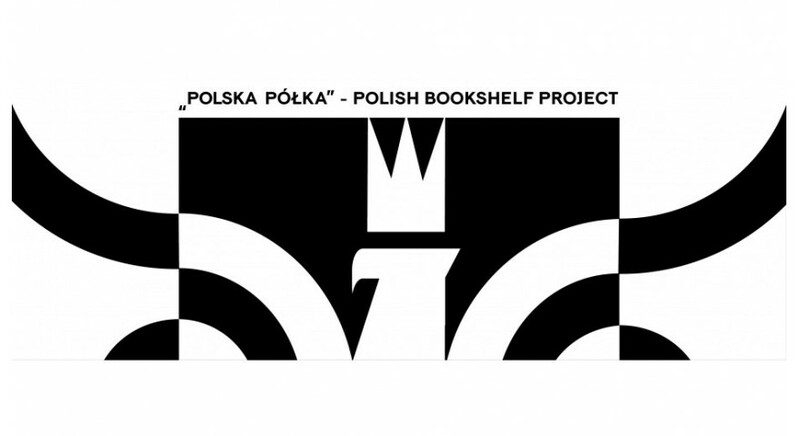 The Polish Shelf is a project for British libraries, as part of which they can receive and include works by Polish authors in their book collection. During the inauguration, accompanying events will also take place in other participating institutions. 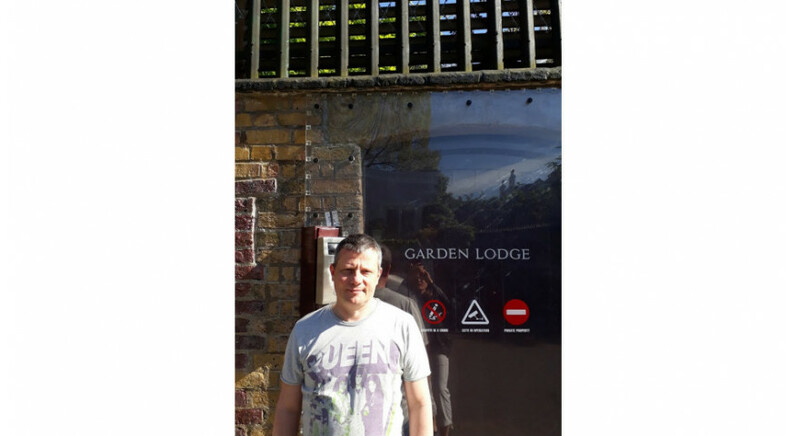 The project is carried out by the Book Institute in cooperation with the Polish Embassy in London and the Polish Cultural Institute in London. 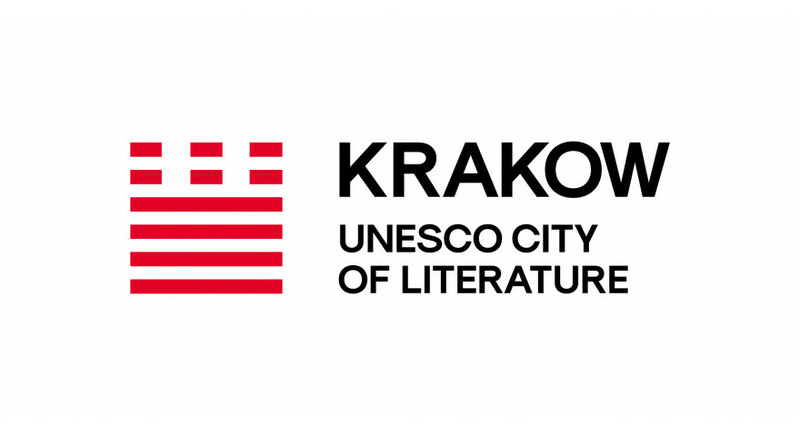 The Polish Book Institute held three discussions at the 22nd International Book Fair in Cracow. Here we present photos and reports from the panels. Grzegorz Uzdański, a prose writer, musician, teacher of philosophy and ethics, as well as the author of the website "New poems of famous poets", talks about his admiration of Ursula Le Guin and Virginia Woolf, a stereotypical perception of comic books, very good but misbegotten literature, books that everyone should read, and those about which he cannot say whether they are great or pulp. 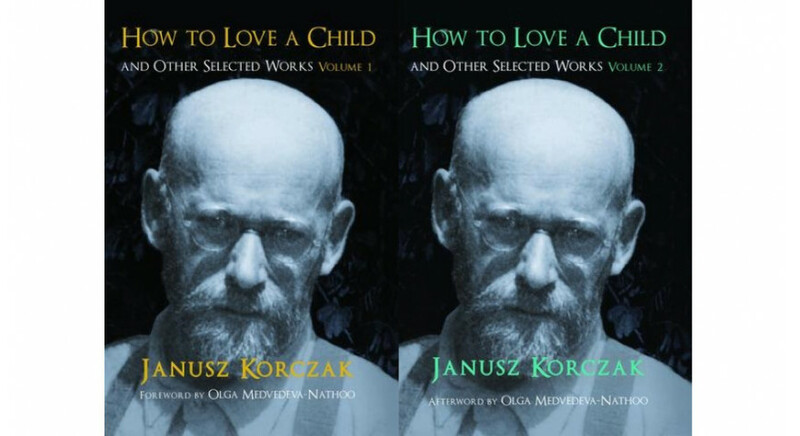 A translation of a two-volume selection of texts by Janusz Korczak, How to Love a Child and Other Selected Works, translated by Benjamin Paloff, Danuta Borchardt, Sean Bye, Julia Sherwood, Alissa Valles, Anna Zaranko and Marta Dziurosz has been published in the United States and Great Britain. The publication was supported by the Polish Book Institute as part of the ©POLAND Translation Programme. 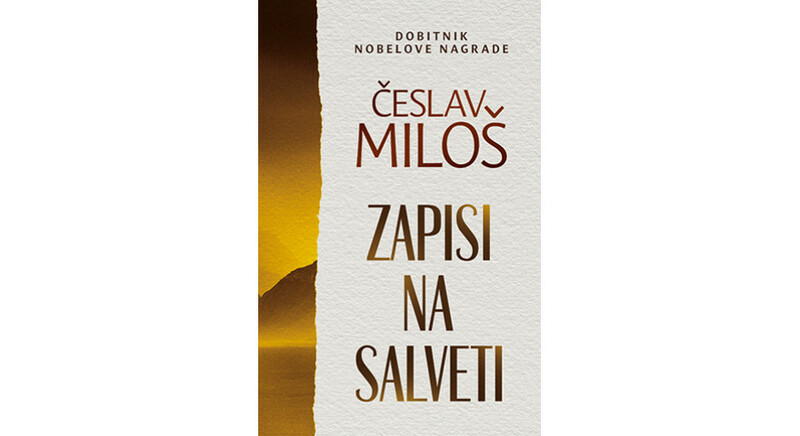 In Slovakia, the translation of Modlitwa o deszcz (‘Praying for Rain’) was published. The book was translated by Michala Benešova. 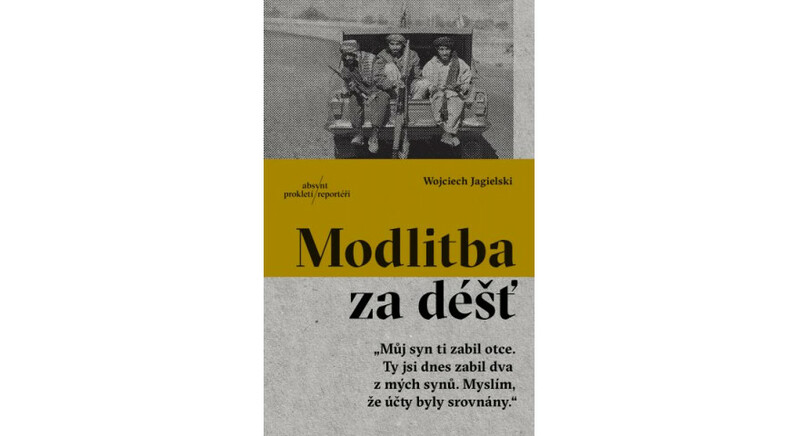 The publication of the book by Wojciech Jagielski was supported by the Book Institute as part of the ©POLAND Translation Programme. 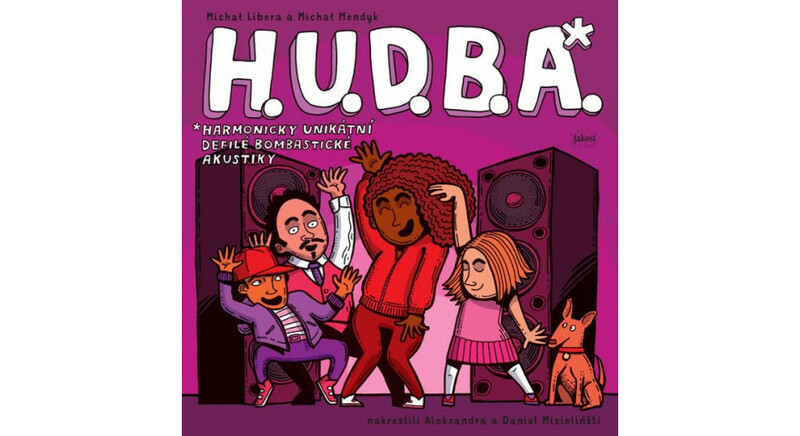 In the Czech Republic, the translation of M.U.Z.Y.K.A. (‘M.U.S.I.C.’) was published. The book was translated by Ondřej Blabolil. 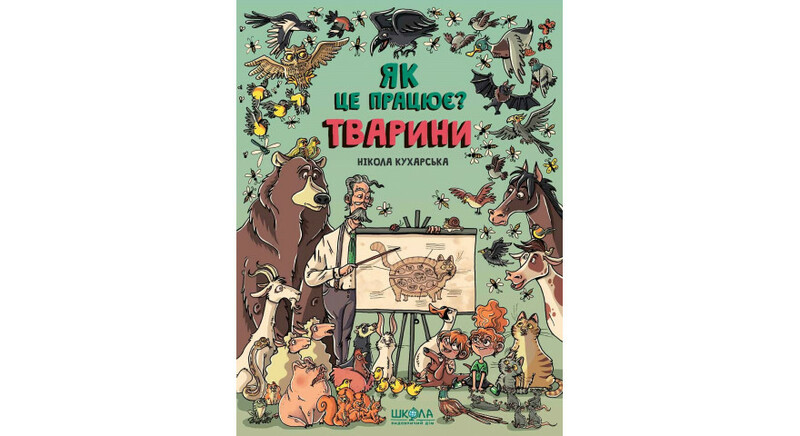 The publication of the work by Michał Libera and Michał Mendyk with illustrations by Aleksandra and Daniel Mizielińscy was supported by the Book Institute as part of the © POLAND Translation Programme. 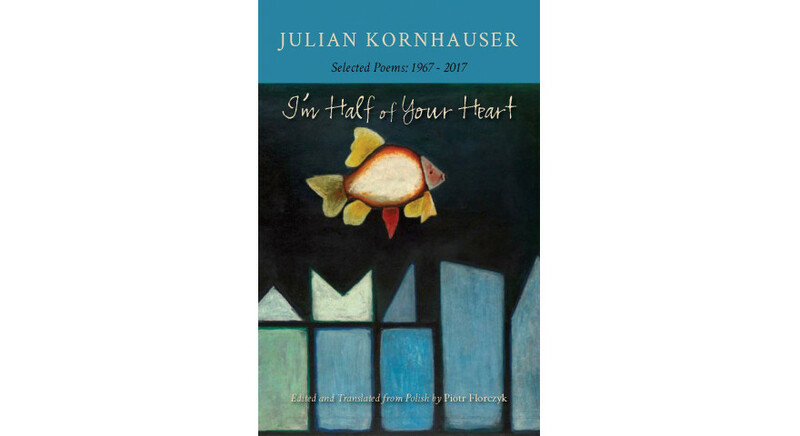 In the United States, a translation of Julian Kornhauser’s selected poems I'm Half of Your Heart: New and Selected Poems, 1967―2017 was published. 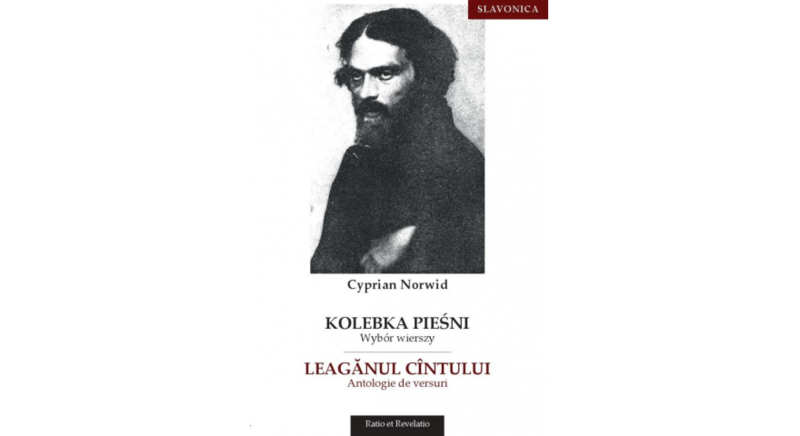 The book was translated by Piotr Florczyk. The publication was supported by the Polish Book Institute as part of the ©POLAND Translation Programme. 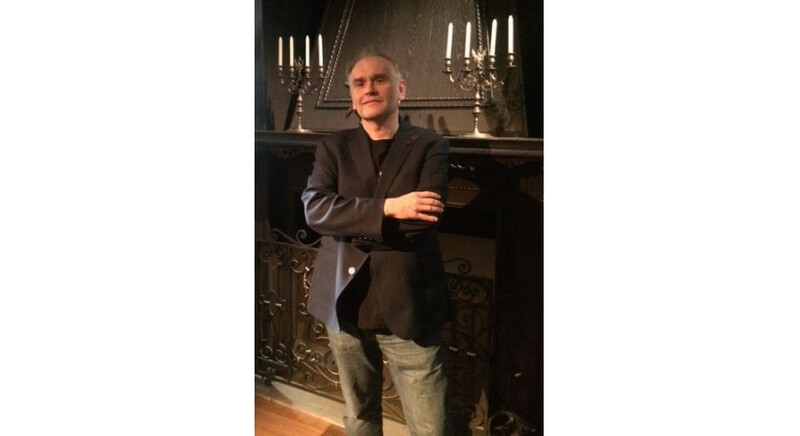 Prose writer Wojciech Chmielewski, a winner of the Marek Nowakowski Literary Award and the Cyprian Norwid Award, talks about his first fascination with Dickens, Salinger's writing burnout, love for Saul Bellow, passionate reading of Marek Nowakowski, Kazimierz Orłoś, and Kornel Filipowicz, about contemporary writers he roots for, the books he was strongly affected by, and he reveals the question he asks himself when writing. The British publisher Gollancz and the American Orbit have purchased the rights to publish a translation of Andrzej Sapkowski's Trylogia husycka (‘The Hussite Trilogy’). 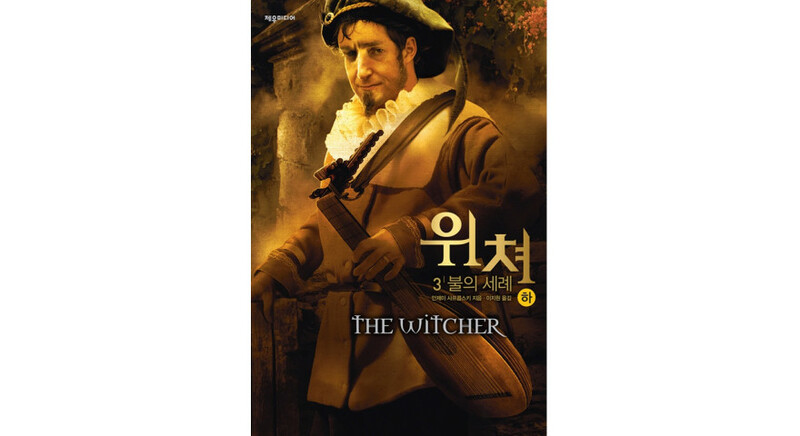 The series will be translated by David French, the translator of The Witcher. 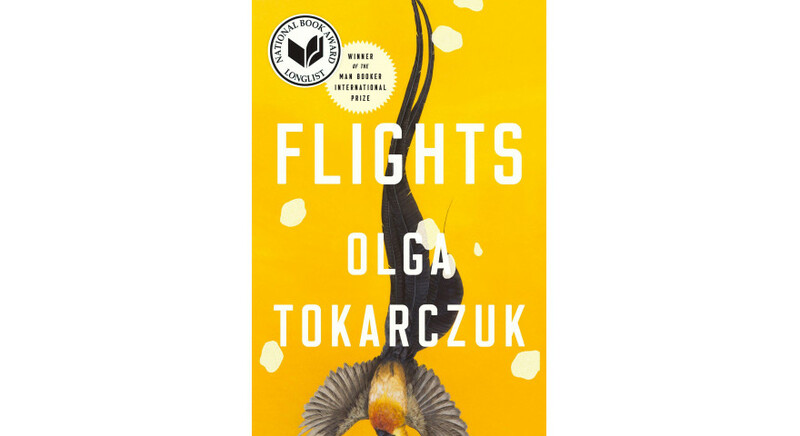 The translation of Olga Tokarczuk's Bieguni (‘Flights’) has reached the finale of the prestigious American literary award National Book Award. Together with four other entries, it was nominated in the category of books translated into English. The winner will be announced on 14 November. The translation of Flights by Jennifer Croft was created thanks to co-financing from the Polish Book Institute as part of the ©Poland Translation Programme. 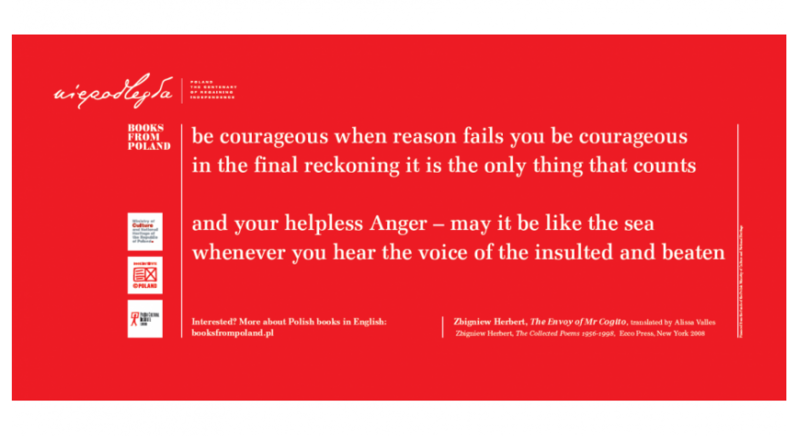 On the occasion of the centenary of Poland's regaining independence, the Polish Book Institute has prepared a special catalogue “Poland - History Worth Knowing for the first time. 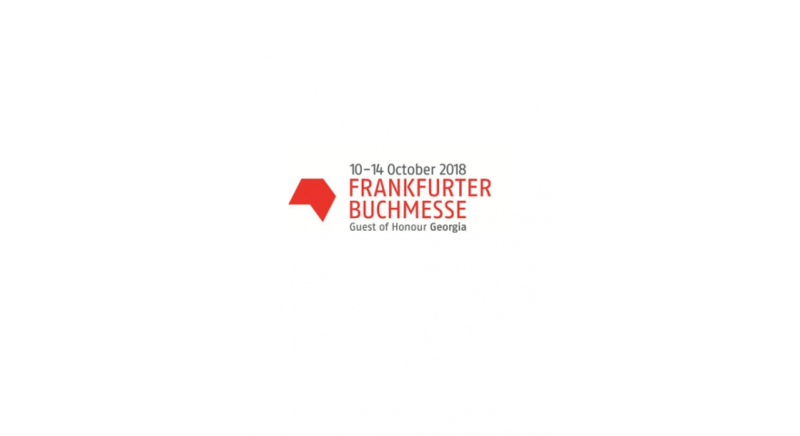 The catalogue will be presented at the Frankfurter Buchmesse book fair. It will introduce works about the history of Poland which are considered the most interesting from the point of view of both foreign publishers and readers. In Sweden, a translation of Gra na wielu bębenkach ("Playing on Many Drums") was published. The book was translated by Jan Henrik Swahn. 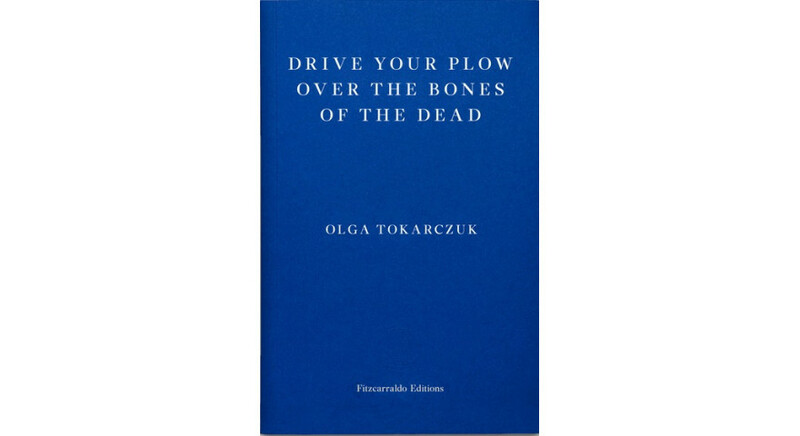 The publication of the collection of short stories by Olga Tokarczuk was supported by the Book Institute as part of the ©POLAND Translation Programme. Today, in the Multimedia Library for Children and Youth no. XXXI in Warsaw, a press conference devoted to the new edition of the Polish Book Institute's campaign ‘Small Book - Great Man’ took place. The conference was attended by Professor Piotr Gliński, the Deputy Prime Minister and Minister of Culture and National Heritage, Dariusz Jaworski, the Director of the Polish Book Institute, as well as the ambassadors of the campaign: Joanna Koroniewska-Dowbor and Maciej Dowbor. Everyone emphasised the benefits of reading together with children, expressing the hope that such a wide campaign will contribute to the improvement of reading in Poland. 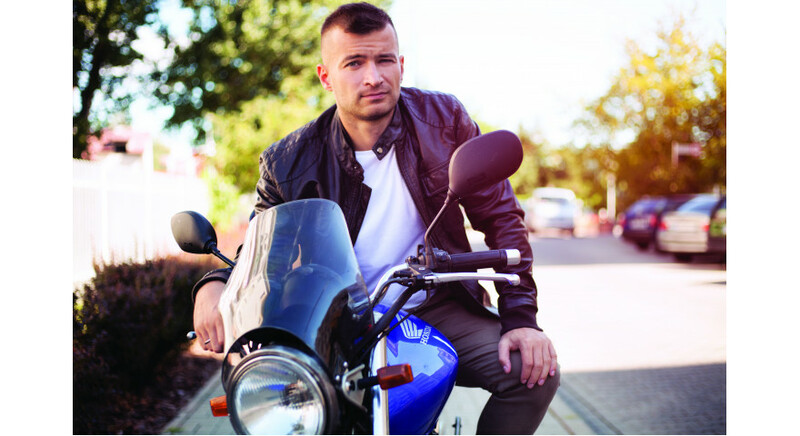 Writer Jakub Małecki talks about his fascination with Lem, what he expects from literature, a literary genre he dislikes, the writers he wrote a letter to after reading their book, why he once claimed to be a “Newsweek” reporter, reading as a source of pleasure, and he also reveals the greatest compliment he gives to other authors' books. 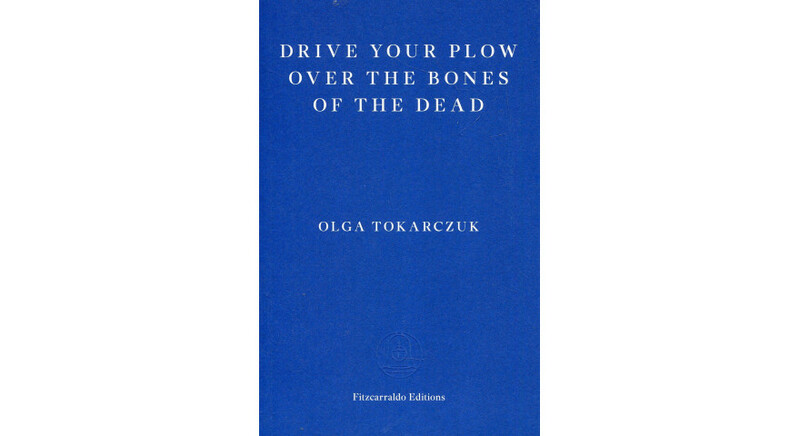 Yesterday, the English translation of Prowadź swój pług przez kości umarłych (“Drive Your Plow over the Bones of the Dead”) was published. The book was translated by Antonia Lloyd-Jones, a winner of the Transatlantic Award. 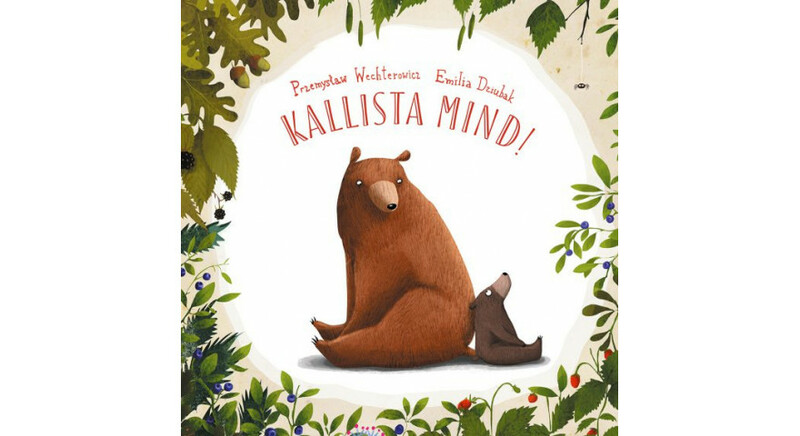 In Estonia, the translation of Proszę mnie przytulić (“Hug Me, Please!”) was published. The book was translated by Hendrik Lindepuu. 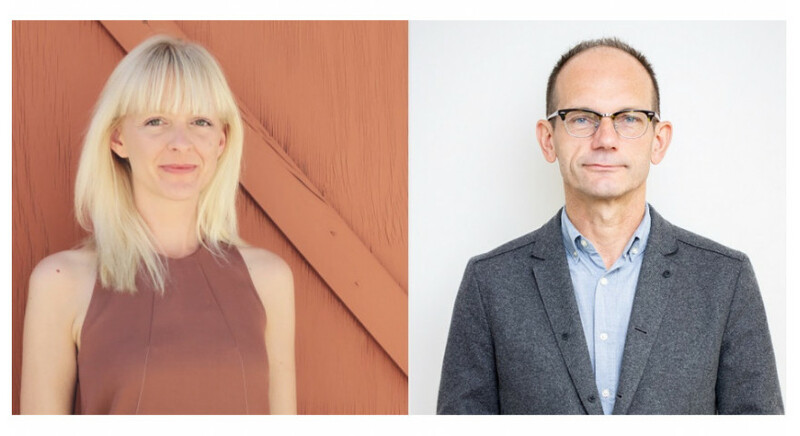 The publication of the work by Przemysław Wechterowicz and Emilia Dziubak was supported by the Book Institute as part of the © POLAND Translation Programme. Are you expecting a child? There is a gift waiting for you! After the success of last year's campaign, already 95% of hospitals in Poland participate in the Bookstart project, within which parents of newborn children receive Readers’ Layettes. 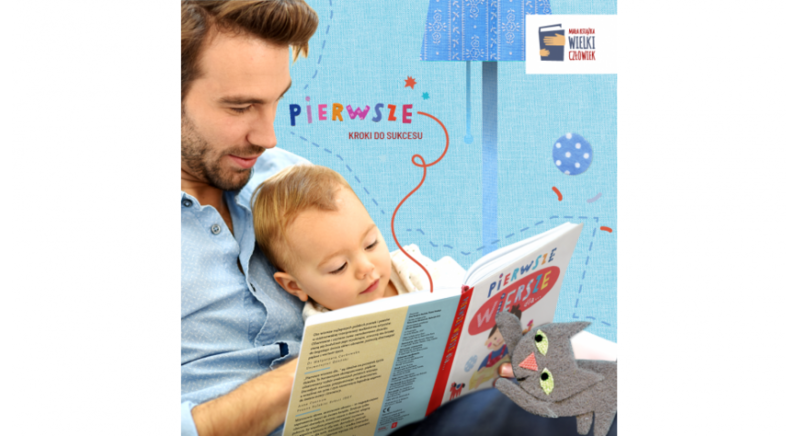 The book Pierwsze wiersze dla… (First Poems for...) and an information booklet for parents and guardians were distributed to maternity wards all over the country. This time though, not only new parents will be able to get the valuable set. 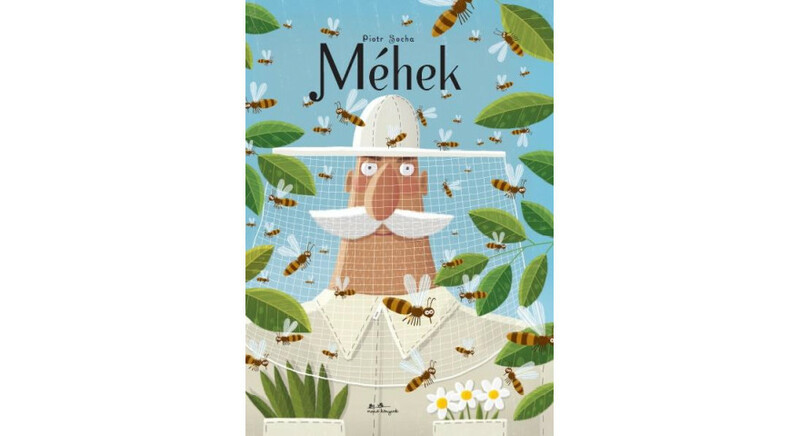 In Hungary, the Hungarian translation of Pszczoły (“The Book of Bees”) was published. The book was translated by Viktoria Kellermann. The publication of the book by Paweł Socha (illustrations) and Wojciech Grajkowski (text) was supported by the Book Institute as part of the © POLAND Translation Programme. 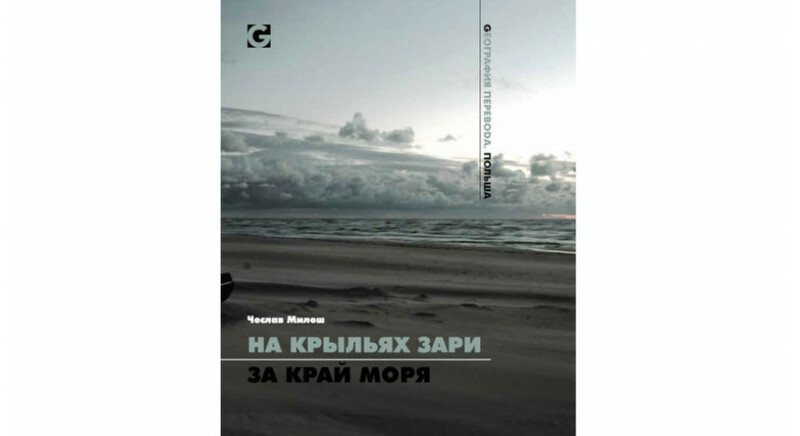 In Ukraine, the translation of Narzeczona Schulza (“Schulz’s Fiancée”) was published. 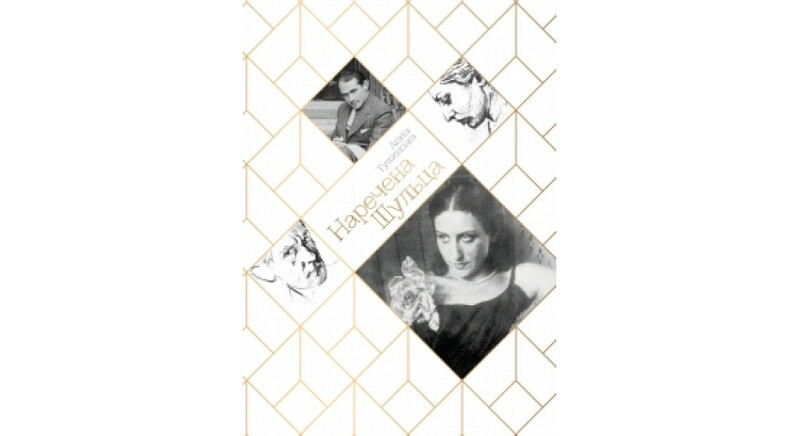 The book was translated by Wiera Meniok. The publication of the work by Agata Tuszyńska was supported by the Book Institute as part of the © POLAND Translation Programme. Maciej Urbanowski, literary historian, critic, and editor, tells us about literary discoveries, the recovery of masterpieces, reading caprices, the search for marginalised voices, books worth publishing abroad, The Odyssey, from which everything began, and about how reading a book is a reading of another human being. 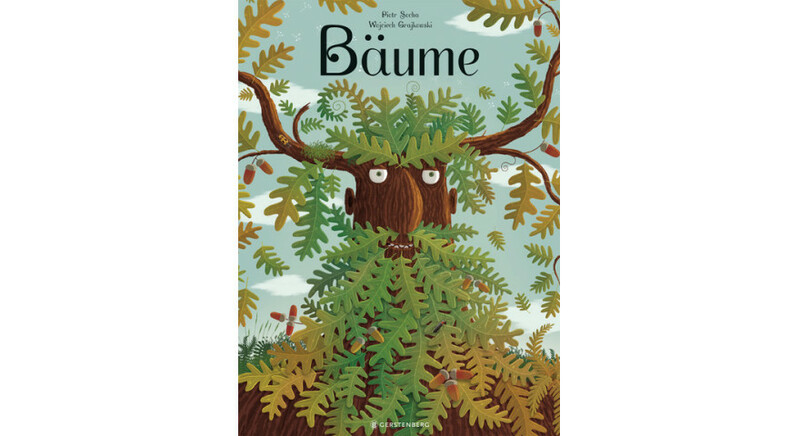 In Germany, the translation of Drzewa (‘The Book of Trees’) was published. The book was translated by Thomas Weiler. The publication of the book by Paweł Socha (illustrations) and Wojciech Grajkowski (text) was supported by the Book Institute as part of the © POLAND Translation Programme. We are pleased to announce that the selections for the first round of publishers’ submissions to the ©POLAND Translation Program in 2018 has been made. Applications submitted by 4th April 2018 were considered. 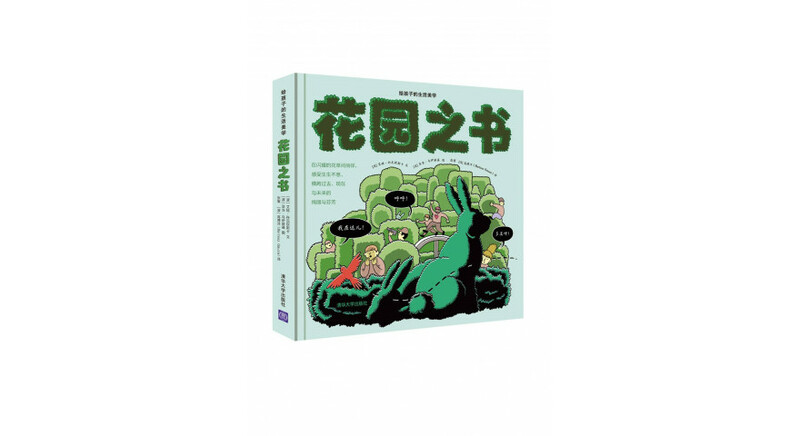 In Taiwan, the Chinese translation of Masz prawa, człowieku! (‘You Have Rights, Human!’) was published. The book was translated by Wei-Yun Lin Górecka. The publication of the work by Iwona Zabielska-Stadnik and Małgorzata Węgrzecka was supported by the Book Institute as part of the © POLAND Translation Programme. Wacław Holewiński, prominent Polish prose writer, author of renowned historical novels, and co-creator of Przedświt, one of the biggest underground publishing houses, talks about his literary delights and disappointments, love of William Faulkner, fear of returning to beloved authors from the past, the importance of translators, and… reading dictionaries like novels. 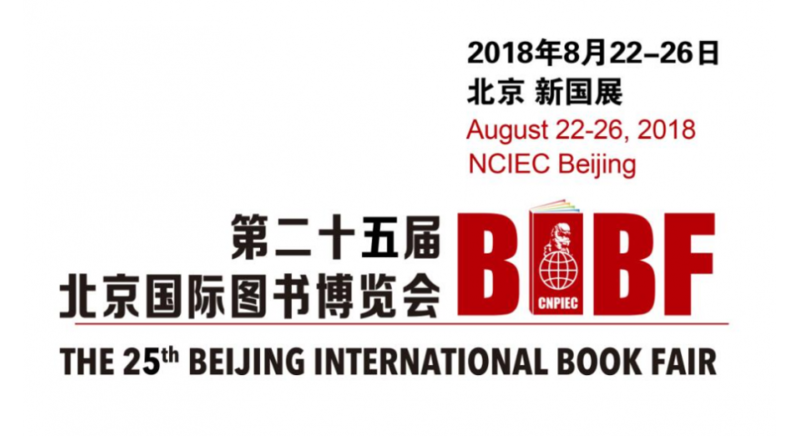 On Wednesday, 22nd August, an international book fair in Beijing begins. The Beijing International Book Fair is the largest book fair in Asia. 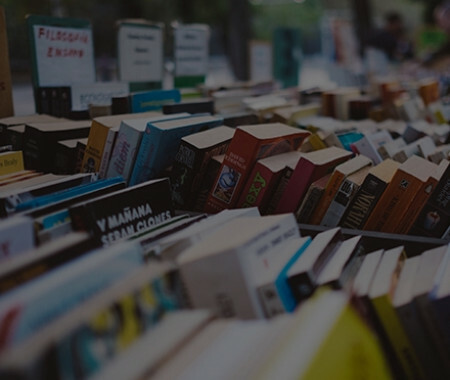 Each year, over two and a half thousand publishers from 90 countries worldwide showcase their books here, and the event is visited by over 300,000 readers. On Saturday, the BBC announced that V.S. 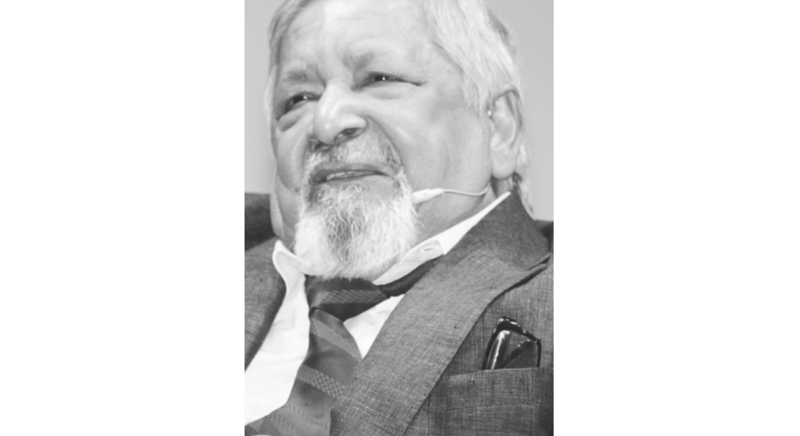 Naipaul, an outstanding British writer and a Noble Prize-winning author in 2001, died at the age of 85. The novelist died at his home in London, surrounded by his family. He was the heir to Conrad and one of the most influential voices of contemporary literature. 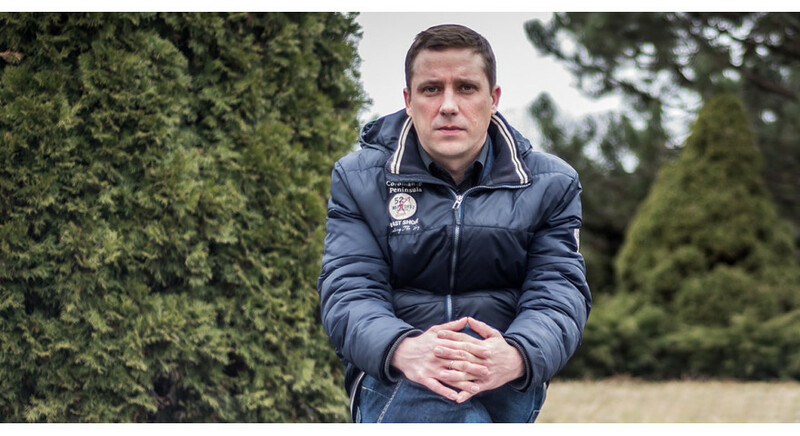 Paweł Sołtys, a singer, musician and writer, talks about his greatest literary fascinations, the books that influenced him, the ones he most often gives as gifts to his friends, what he pays the most attention to when reading, and what he reads to his daughter. 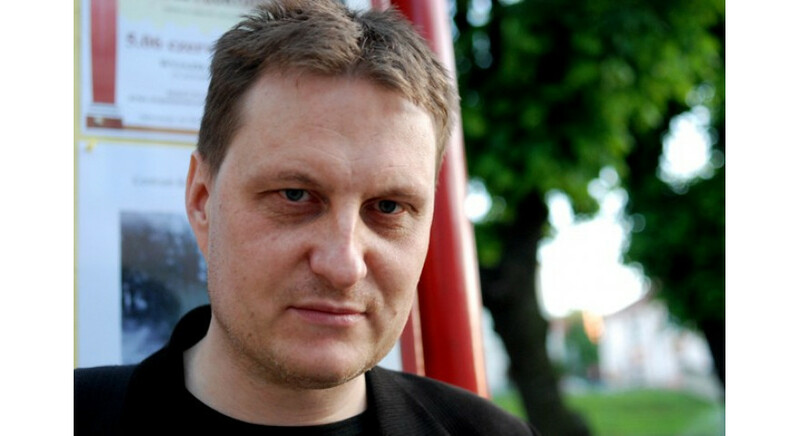 Rafał Kosik, one of the most important contemporary Polish science fiction writers and the author of the popular cycle for young people Feliks, Net i Nika (Felix, Net and Nika), talks about the books with which he learned to read, his reluctance to read the required reading at school, which almost killed his love of literature, writers he admires and... Moomins as the book that shaped him. In Croatia, Olga Tokarczuk’s “The Books of Jacob” translated by Mladen Martić has just been published. 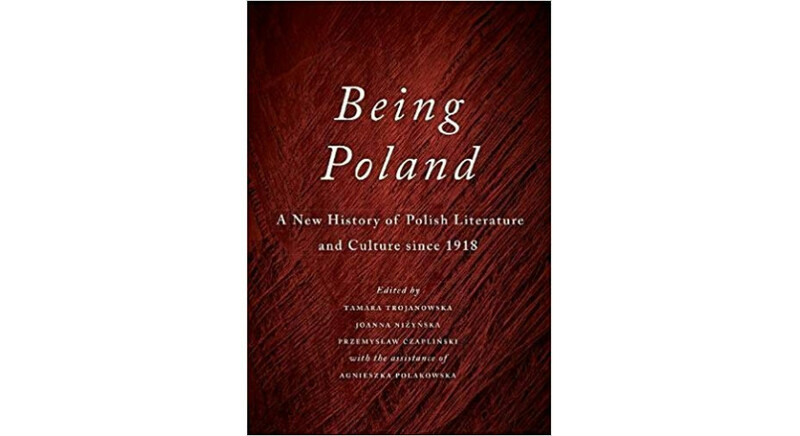 The publication was supported by the Book Institute as part of the ©POLAND Translation Programme. In June, two translations of Włoskie szpilki (‘Italian High Heels’) were published. 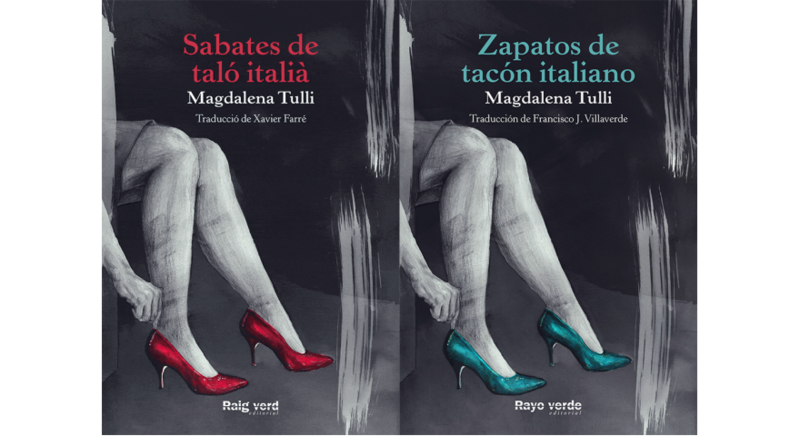 Magdalena Tulli's stories have been translated into Spanish and Catalan. The editions were supported by the Book Institute as part of the © POLAND Translation Programme. By mid-2019, 360,000 books with poems for children will be distributed in maternity wards around the country. Pierwsze wiersze dla... (‘First Poems for...’), published by the Polish Book Institute, include the works of Julian Tuwim, Jan Brzechwa, Joanna Papuzińska, and Ludwik Jerzy Kern, to name a few. 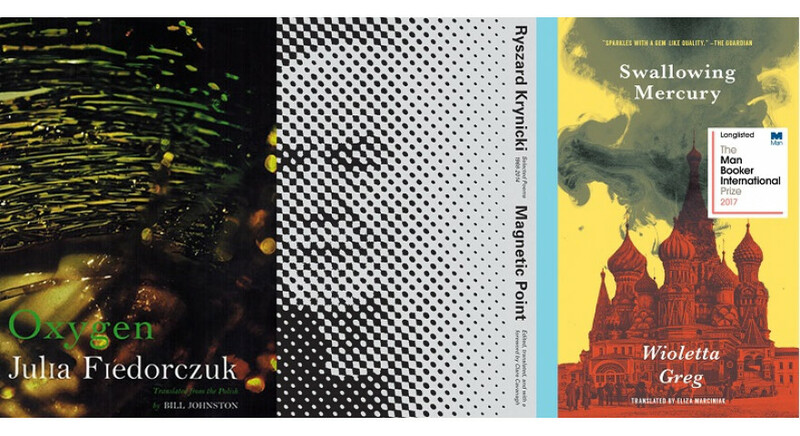 Translations of Fiedorczuk, Grzegorzewska, and Krynicki nominated in the United States! 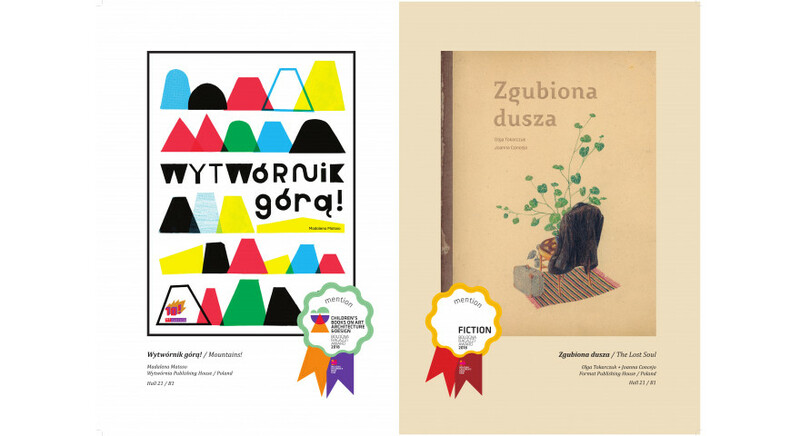 Three translations of Polish books have been nominated for the prestigious National Translation Awards (NTA) administered by the American Literary Translators Association (ALTA). 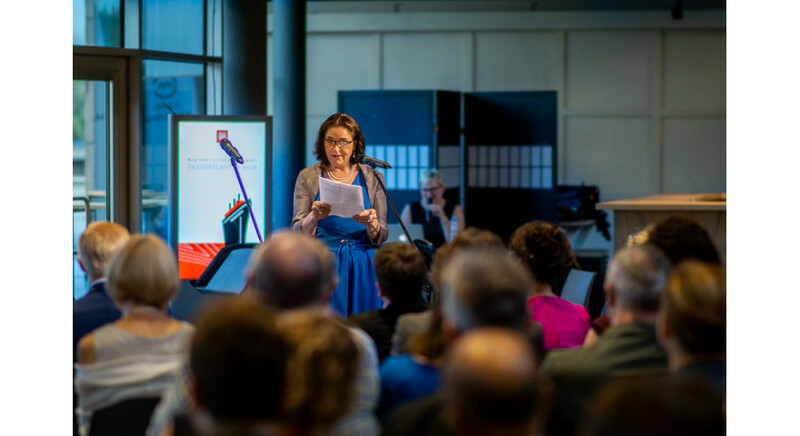 Among the nominees, there are Clare Cavanagh for the translation of Ryszard Krynicki, Bill Johnston, the winner of the Transatlantic Award, for the translation of Julia Fiedorczuk, as well as Eliza Marciniak for the translation of Wioletta Grzegorzewska. 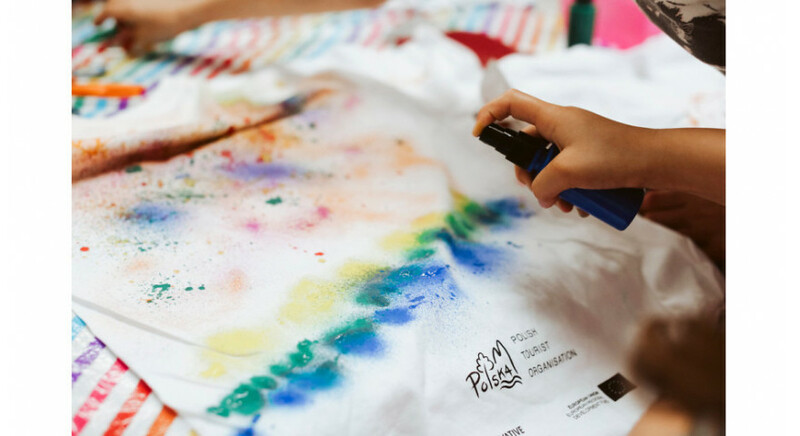 The Children’s Space at the Jarocin Festival 2018 proved to be a great success. The Book Shop’s stand was visited by almost five hundred people while children and their parents received two hundred reading starter kits. 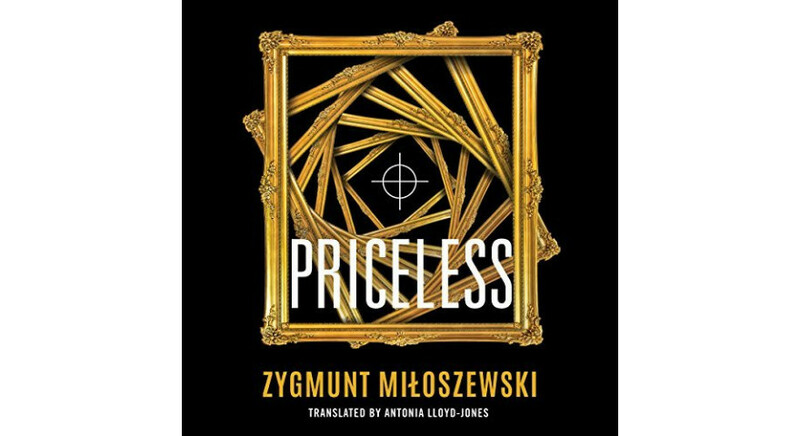 Two days ago, an English-language edition of Zygmunt Miłoszewski's best-selling novel Priceless had its premiere. 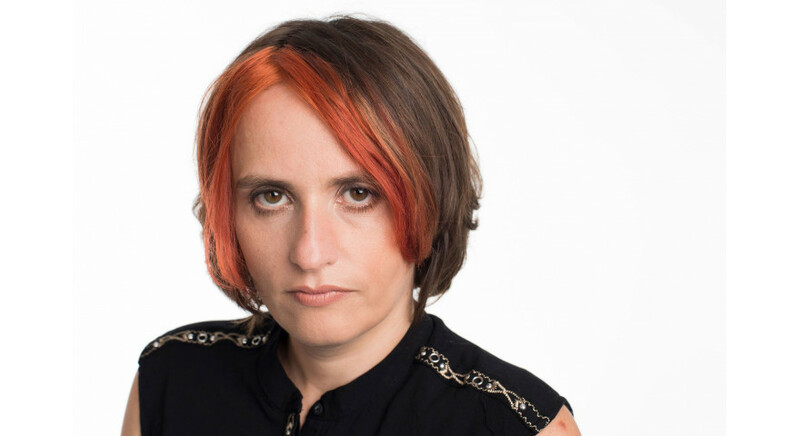 The English translation by Antonia Lloyd Jones, this year's winner of the Transatlantic Award, was published by Amazon Crossing, an Amazon Publishing’s translation imprint. Elżbieta Cherezińska’s novels to be published in the USA! Tor Books, a part of Macmillan Publishers, acquired the rights to the English-language editions of Elżbieta Cherezińska’s novels Harda (“The Widow Queen”) and Królowa (“The Queen”). 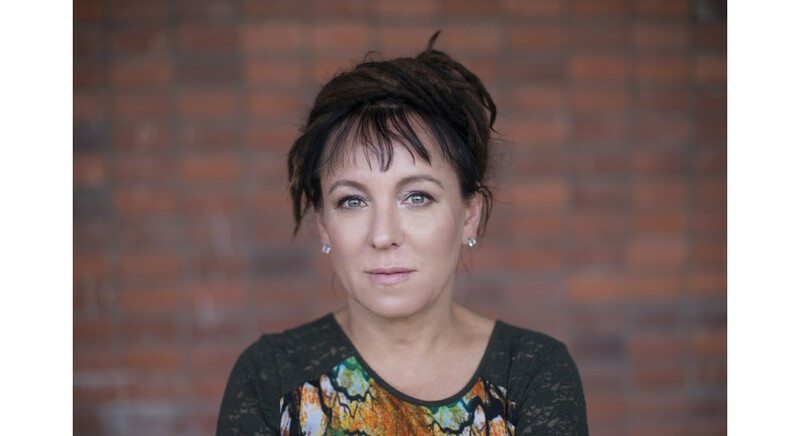 In recent years, the writer was actively supported by the Polish Book Institute, which promoted her works in the Books from Poland catalogue in Frankfurt, whereas the writer herself was present at the Institute's stand at the Svět Knihy book fair in Prague. The Widow Queen will be released in January 2021. Jarocin Festival not only for adults! 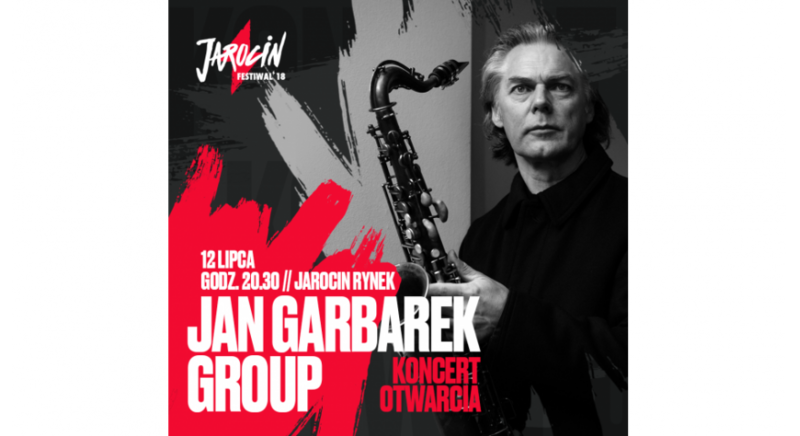 It's time for Jarocin Festival 2018! The legendary festival is not all punk rock today. 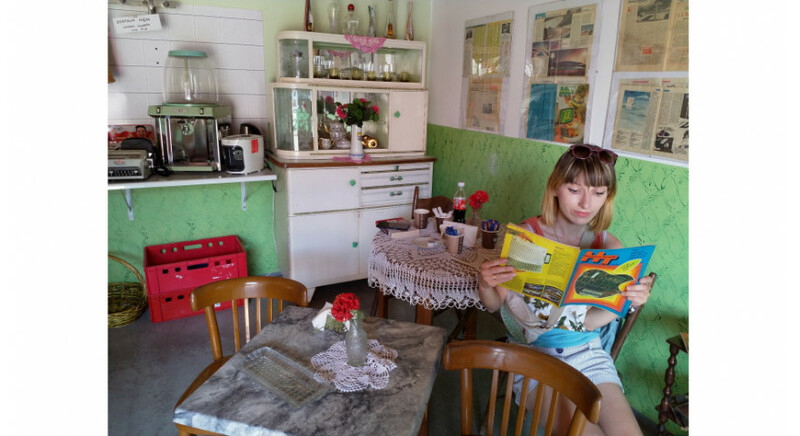 Reading session with artists, art workshops, games and other activities – the Book Institute has prepared many attractions for young readers. 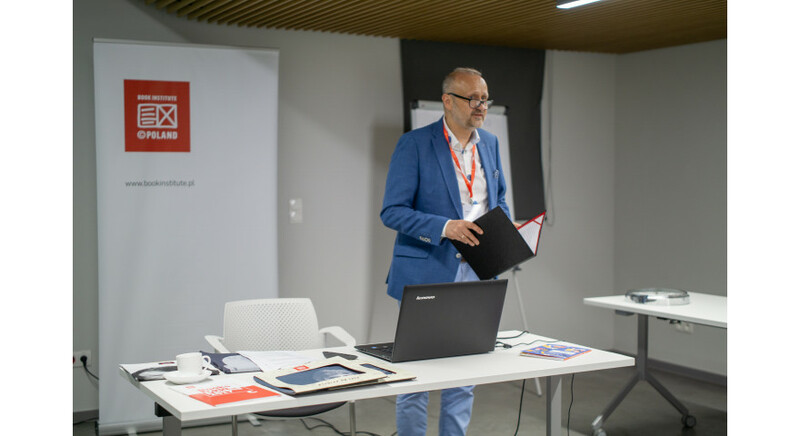 The seventh seminar for foreign publishers that took place in Kraków on June 22-23 under the auspices of the Book Institute, was devoted to children's and young adult literature. The guests of the seminar told us about the promotion of the literature for young readers in their countries. In one of the European university libraries, an unknown printed edition of Rozmowa Mistrza Polikarpa ze Śmiercią (Master Polikarp’s Dialogue with Death) from 1542 (Cracow, Maciej Szarfenberg) has been discovered. 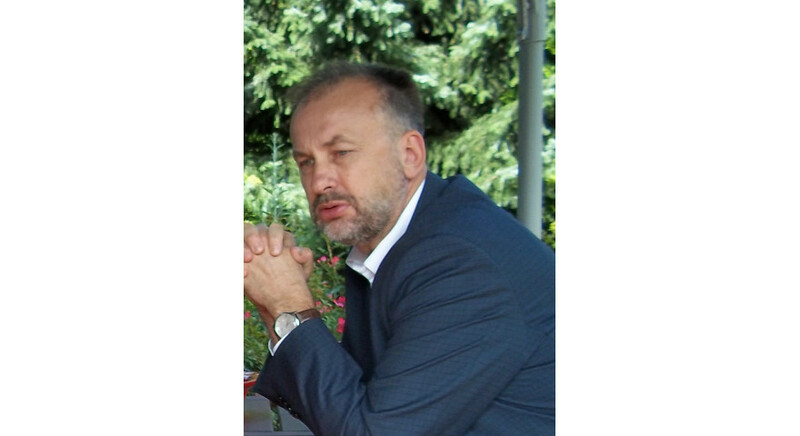 The discovery was made by Professor Wiesław Wydra from the Institute of Polish Philology at Adam Mickiewicz University in Poznań. As part of the campaign "Small Book - Great Man" by the Polish Book Institute, subsequent books will be sent to maternity wards. This time, it will be as many as 360,000 copies of Pierwsze wiersze (First Poems). The new batch of "readers' layettes" for parents and their children has just left the printing house. 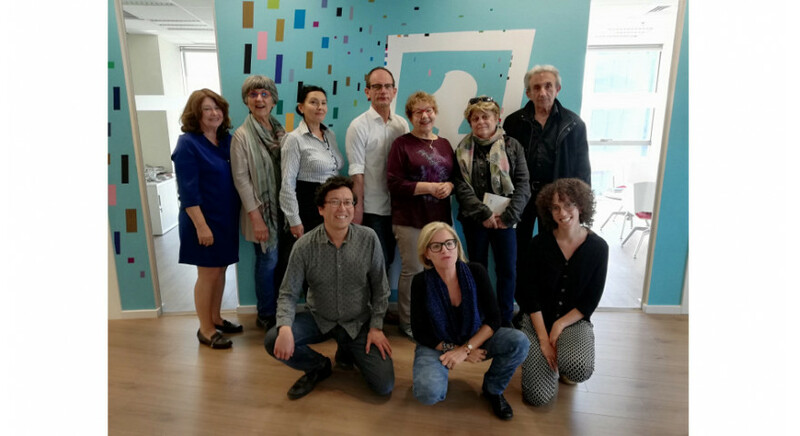 The 7th edition of the seminar for foreign publishers is over! Over the past Friday and Saturday, the seventh edition of the seminar for foreign publishers took place in Cracow. The two-day event was devoted to children’s and youth literature. 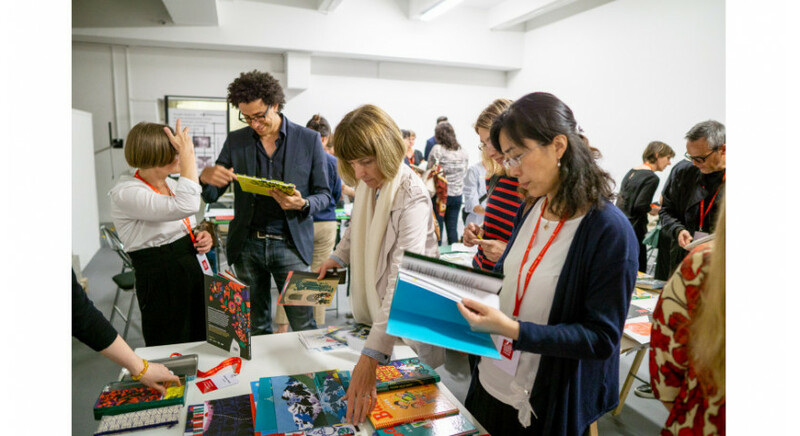 Twenty publishers from around the world had an opportunity to meet Polish editors and illustrators. 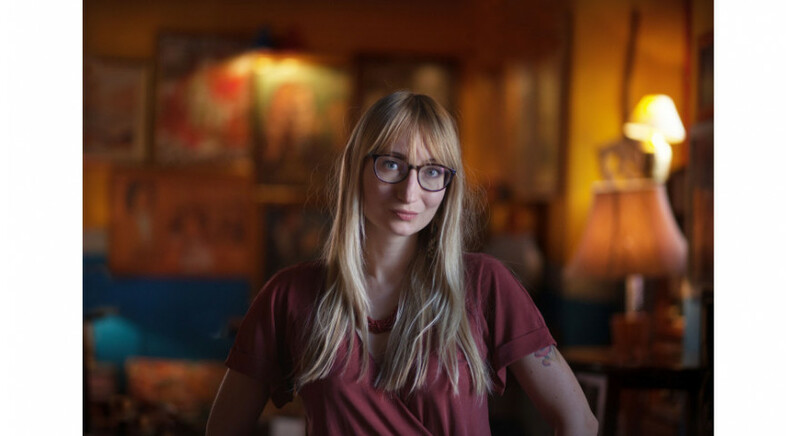 Antonia Lloyd Jones, the winner of Transatlantyk Prize for 2018, studied Russian and Ancient Greek at Oxford. 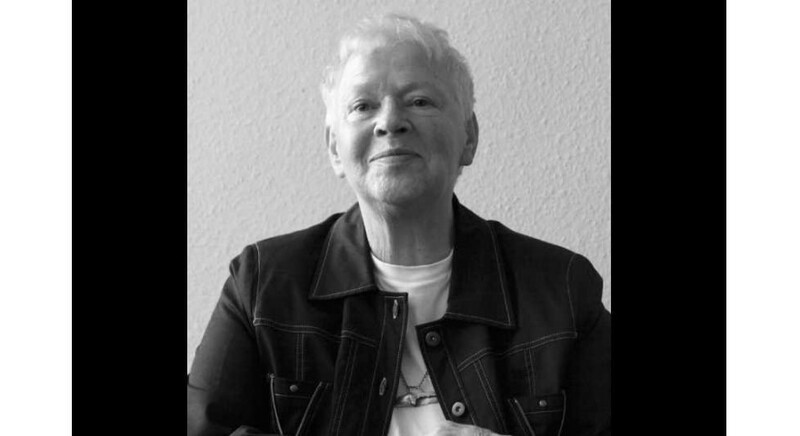 She received also the prestigious Found in Translation Award twice – in 2009 for the transaltion of The Last Supper by Paweł Huelle, and a lifetime achievement award in 2012. She was interested in foreign languages since childhood, but she has only learnt Polish as an adult. 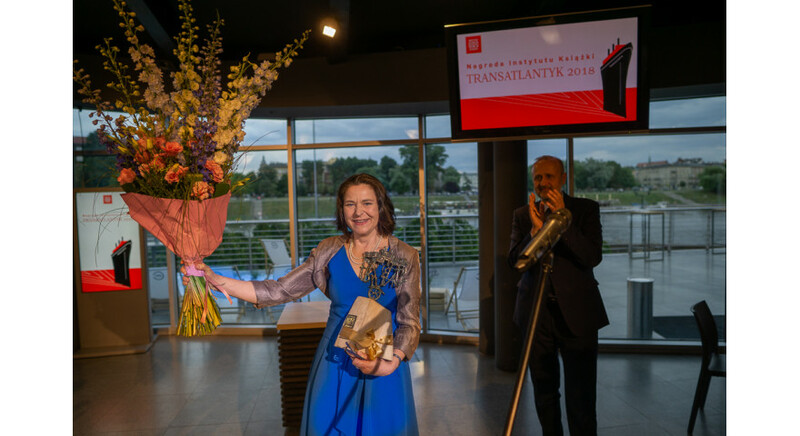 The most prestigious award for distinguished ambassadors of Polish literature abroad was this year presented to Antonia Lloyd-Jones, one of the most important translators of Polish literature into English. 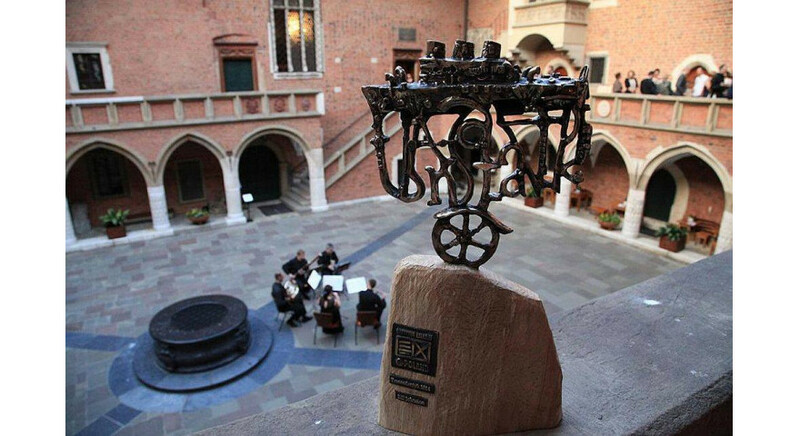 The prize was awarded by a board led by the Polish Book Institute director Dariusz Jaworski. The seventh Seminar for Foreign Publishers has just begun. 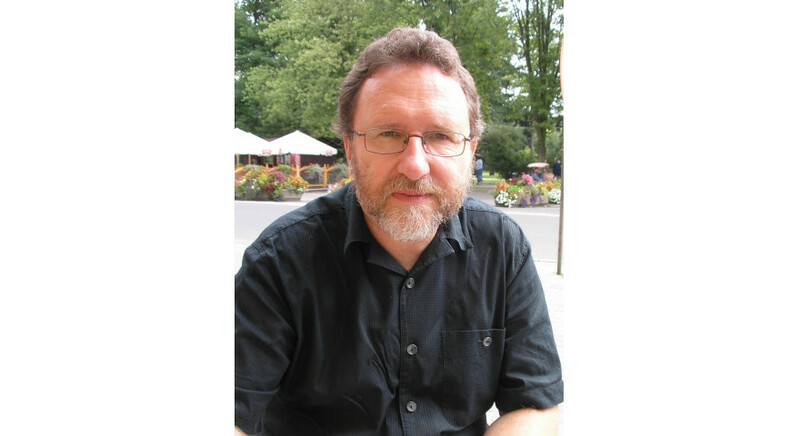 The two-day event was opened by the Book Institute director, Dariusz Jaworski. The seminar is devoted to children's and young adult literature. This Friday and Saturday, the 7th edition of the seminar for foreign publishers will take place in Cracow. 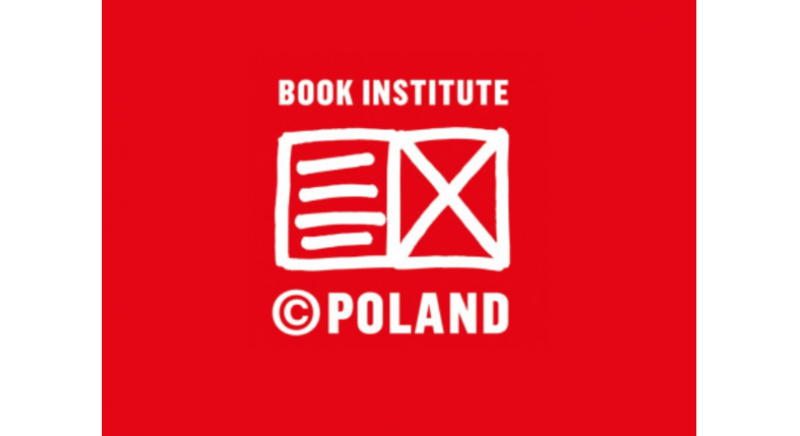 During the seminar, the Polish Book Institute presents foreign editors and literary agents with the most interesting phenomena of the Polish publishing market. For the second time, the seminar will be devoted to children’s and youth literature. 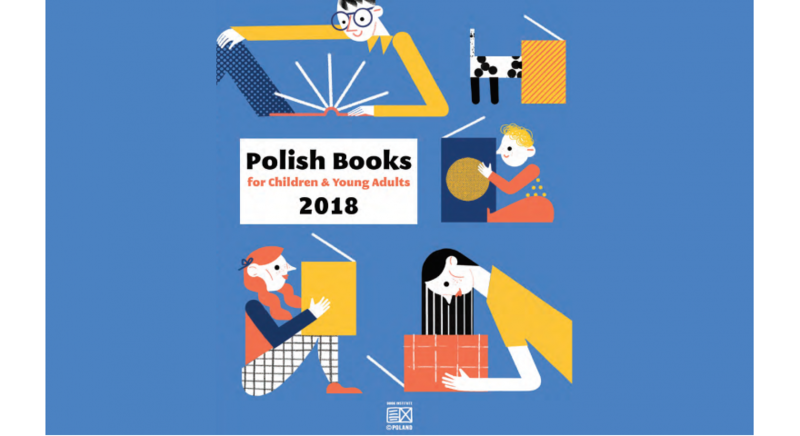 Polish Books for Children & Young Adults catalogue is now available! 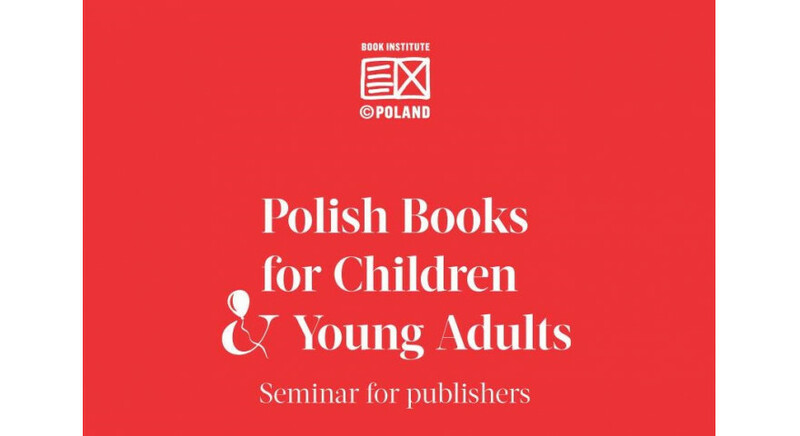 The Polish Book Institute, together with a group of experts, prepared the catalogue ‘Polish Books for Children & Young Adults’, which includes the most interesting works in the field of native children’s and young adults’ literature. The catalogue will have its premiere during the 7th seminar for foreign publishers organised by the Polish Book Institute. This is the second time youth literature will be discussed there. On 9th June in the Streatham Tate Library in London took place the second edition of ‘Night in the Library’ organised by the project Poles Connect in collaboration with the Consular Section of the Embassy of the Republic of Poland in London. 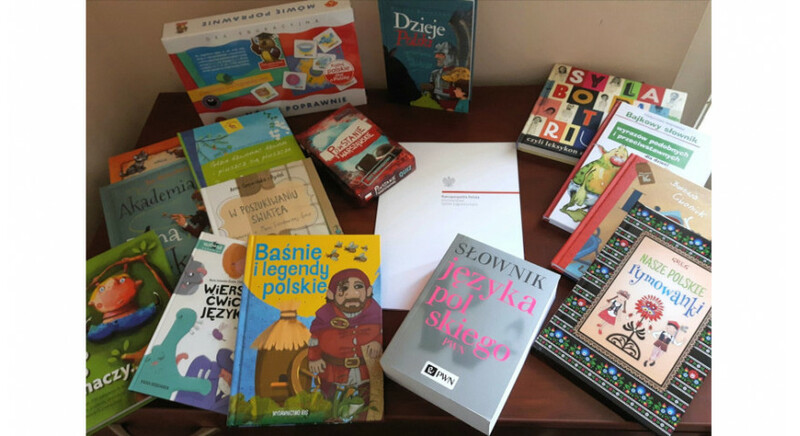 This year, the Polish Institute of Culture, which took patronage over the event, joined the campaign, and the Book Institute donated a set of books for children. 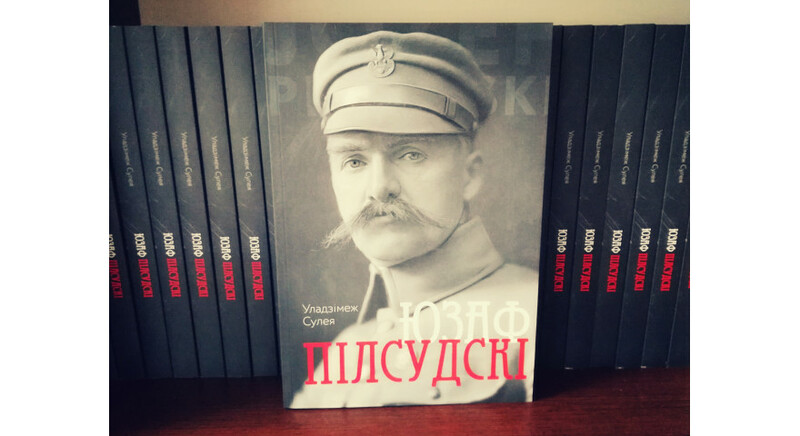 At the end of May, during the Kyiv’s Book Arsenal, the biggest literary festival in Ukraine, Ukrainian edition of Professor Włodzimierz Suleja’s book Józef Piłsudski had its premiere. The translation of the Marshal’s popularizing biography was published with support from the Polish Institute in Kyiv. 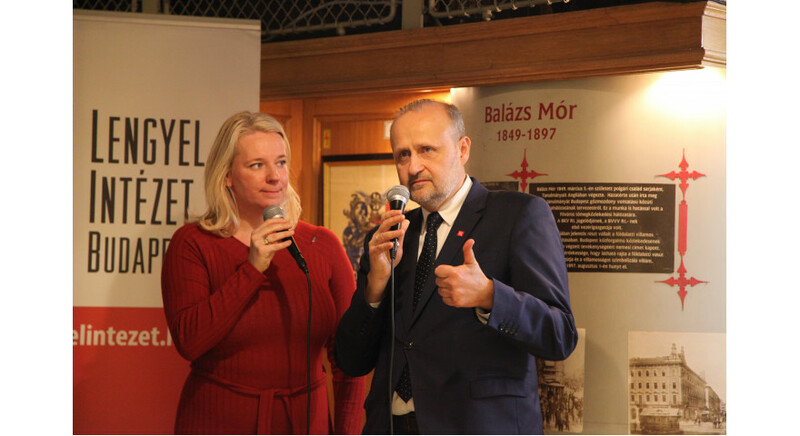 Thirty-three children aged 8 to 13 years took part in the “Library Night” organised by the Consulate General of the Republic of Poland in Toronto. 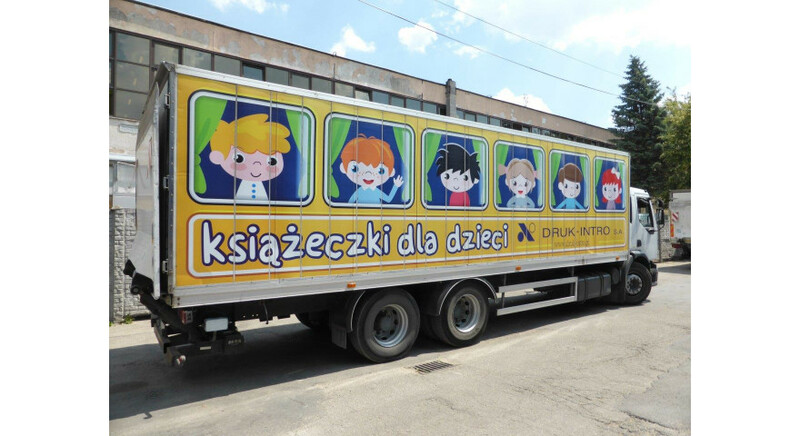 This form of reading incentive was offered to the children from Polish families for the first time. 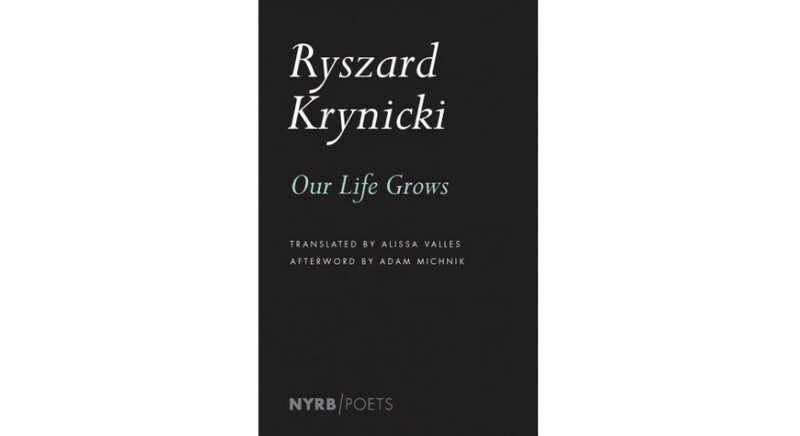 An evening of readings and conversation with Ryszard Krynicki and Alissa Valles exploring the changing shapes and voices of the Polish poet Zbigniew Herbert. Chair: Dr Katarzyna Zechenter, School of Slavonic and East European Studies UCL. take place from 1 September to 31 October. 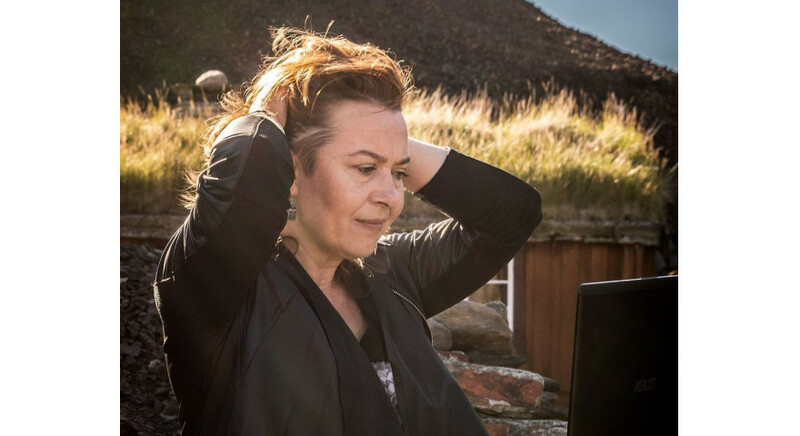 We never cease to be delighted by the success of Olga Tokarczuk, who has become the first Polish writer to win the prestigious Man Booker International Prize. 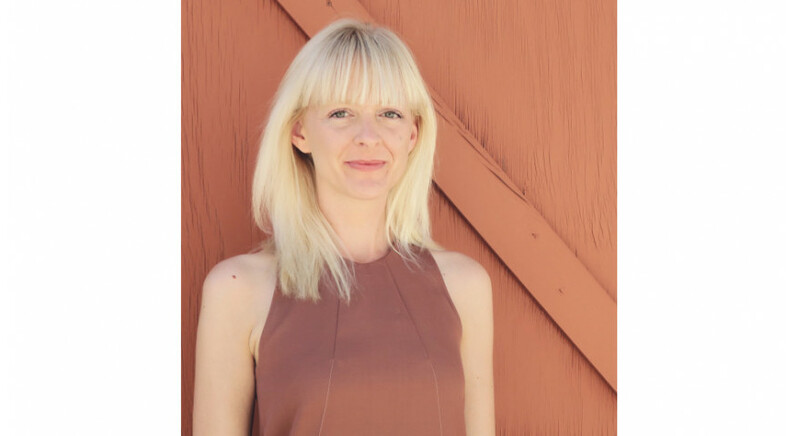 The translation of the award-winning book – published in 2017 in Great Britain as Flights – was rendered by Jennifer Croft (USA), and co-financed by the Book Institute as part of the ©POLAND Translation Program. 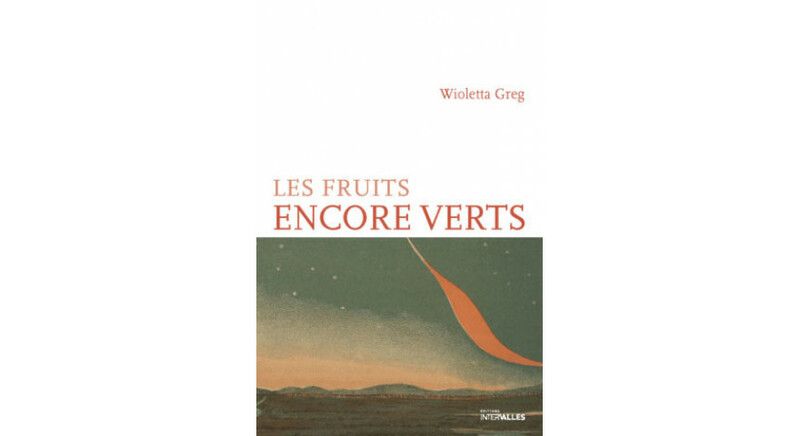 The book won our Found of Translation award, singling out the most important translation into English in a given year. 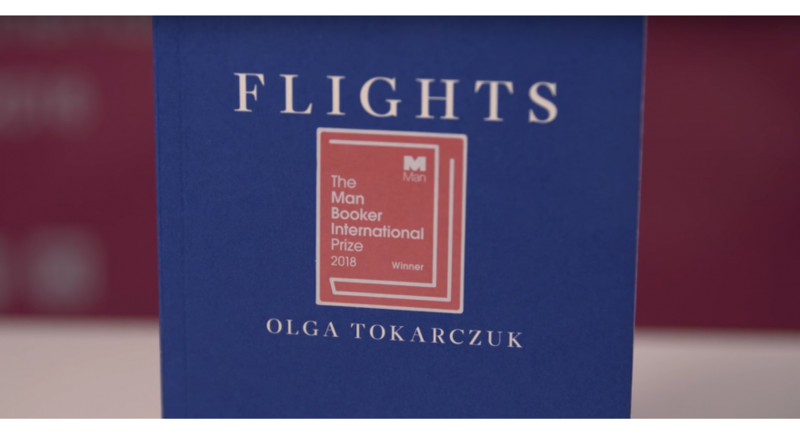 Flights by Olga Tokarczuk and translated by Jennifer Croft has won the 2018 Man Booker International Prize. 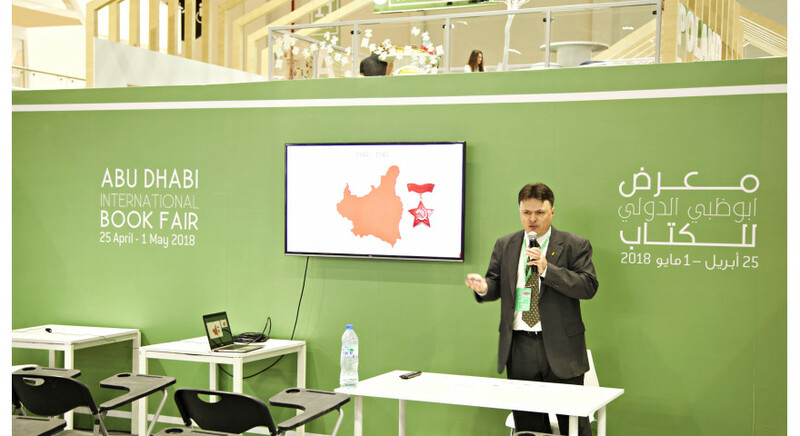 Poland, the Guest of Honour Abu Dhabi International Book Fair (ADIBF) 2018 was the first to take the stand at the Business Club with a presentation of the Polish Book Market – Rights, the Polish Market in Practise, by the director of Poland's State Publishing Dr. Lukasz Michalski. 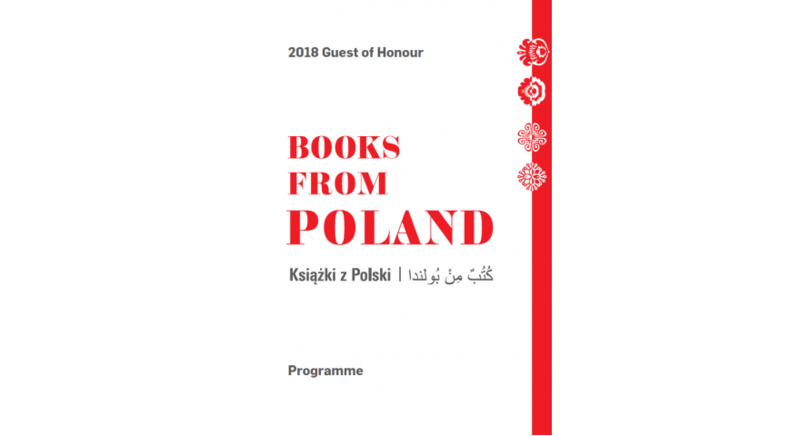 Nobel Prize laureates' literature, award winning illustrators ancient Islamic manuscripts and Polish cuisine presented by the Polish delegation at the seven days fair. The 28th International Book Fair in Abu Dhabi is underway. Poland is the guest of honor for the first time. 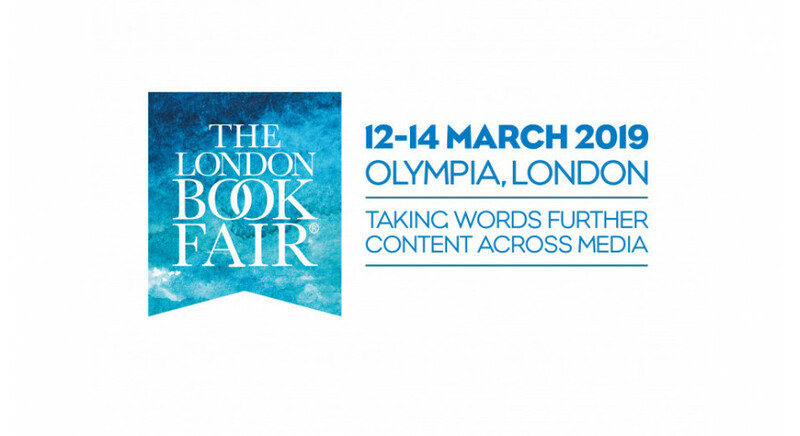 Today marks the beginning of The London Book Fair, the largest spring publishing event, a place for publishers and literary agents from all around the world to meet, and to negotiate rights to new books, film and television scripts, and various sorts of digital content. The fair is held in the old Olympia Hall in West London, and is visited by 25,000 professionals from 118 countries around the world. 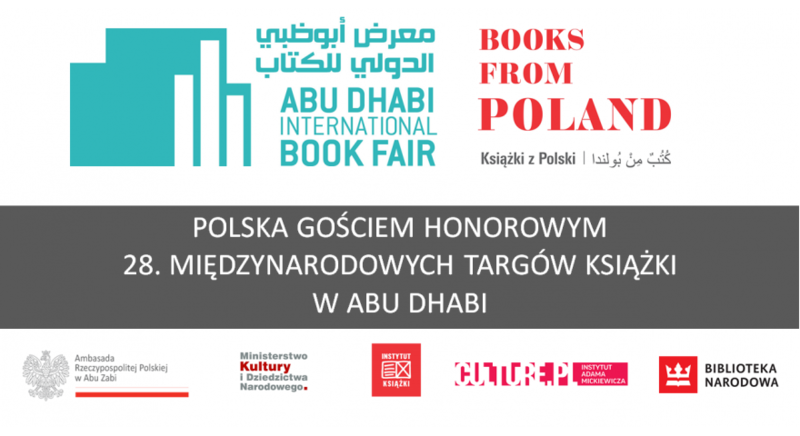 Between April 25 and May 1, Poland will be the guest of honor at the 28th edition of the Abu Dhabi International Book Fair, one of the biggest events of its kind in the Middle East. The Winner of Found in Translation Award Announced! Jennifer Croft for Olga Tokarczuk's "Flights"! The Polish Book Institute, the Polish Cultural Institute in London, and the Polish Cultural Institute in New York are pleased to announce that the 2018 Found in Translation Award goes to Jennifer Croft for her translation of Flights by Olga Tokarczuk, published by Fitzcarraldo Editions (UK) and Text Publishing (Australia) in 2017, forthcoming from Riverhead Books (US) in 2018. 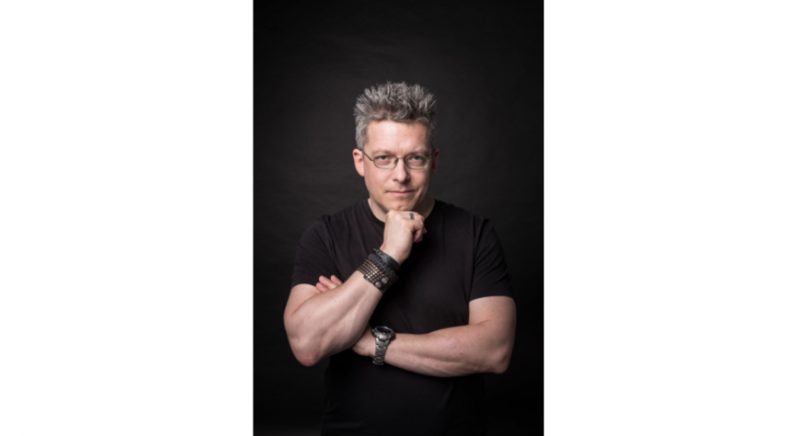 The Marek Nowakowski award chapter has decided to honor Paweł Sołtys this year for his collection of short stories, Mikrotyki [Microsations] (pub. 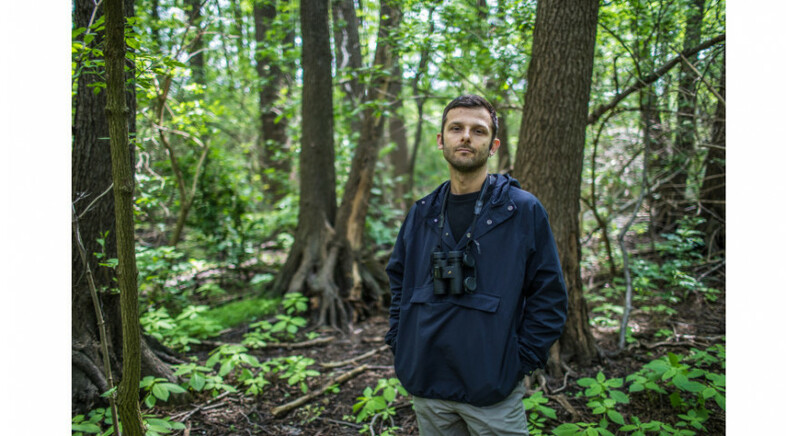 Czarne), for its “original approach to the city of Warsaw, the precision of his language, his innovative use of words and his creative allusion to the prose of the award’s patron," as jury head Maciej Urbanowski phrased it. 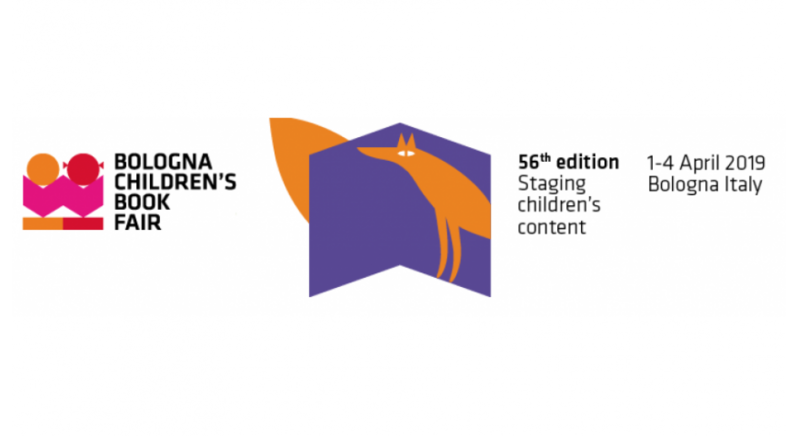 The Bologna Children’s Book Fair, the world’s largest book fair for young people, began on a high note for the Polish children’s book community. 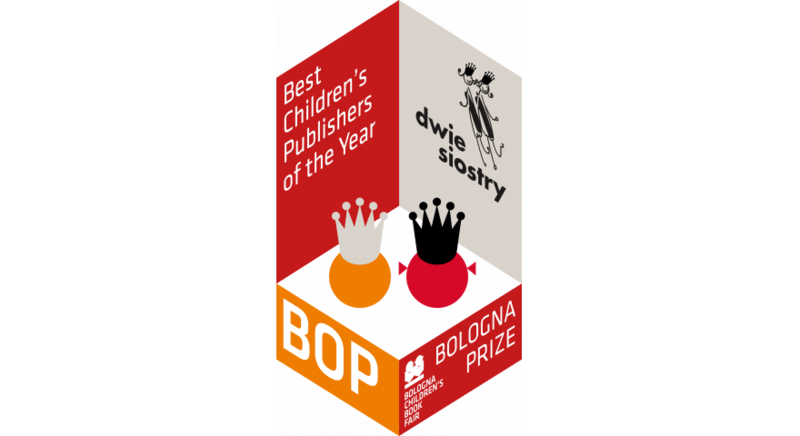 The Polish Dwie Siostry Publishers was given the Bologna Prize for the Best Children’s Publishers of the Year. Today begins the Bologna Children’s Book Fair, the largest international children’s book fair. 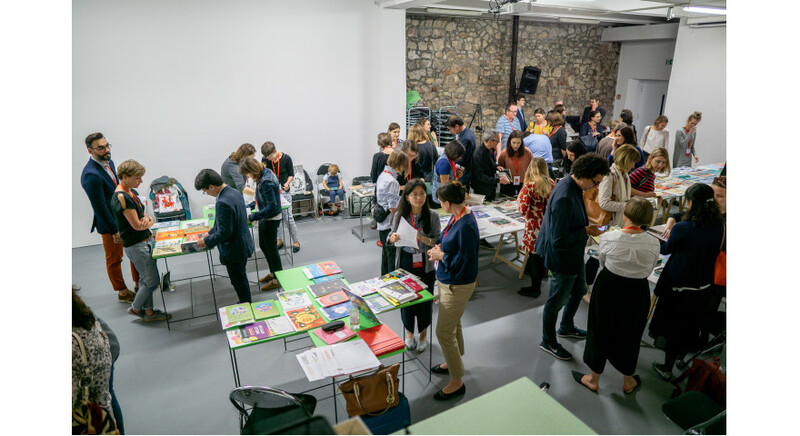 Nearly 1,400 exhibitors from around the world will be presenting their publications for children; the fair is visited by around 26,000 people a day. Many countries organize collective booths at Bologna, among them Poland. The Polish presentation is traditionally prepared by the Book Institute. 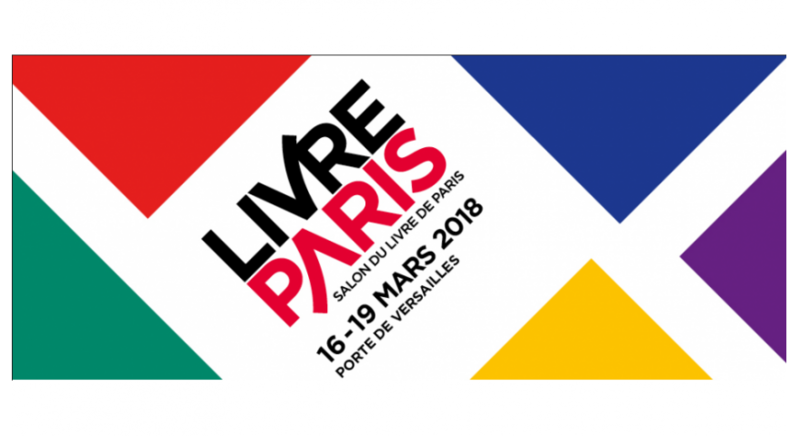 Today marks the opening of the International Book Fair in Paris, the largest industry event in Francophone countries. The organizers are counting on around 160,000 visitors, based on previous years’ numbers. 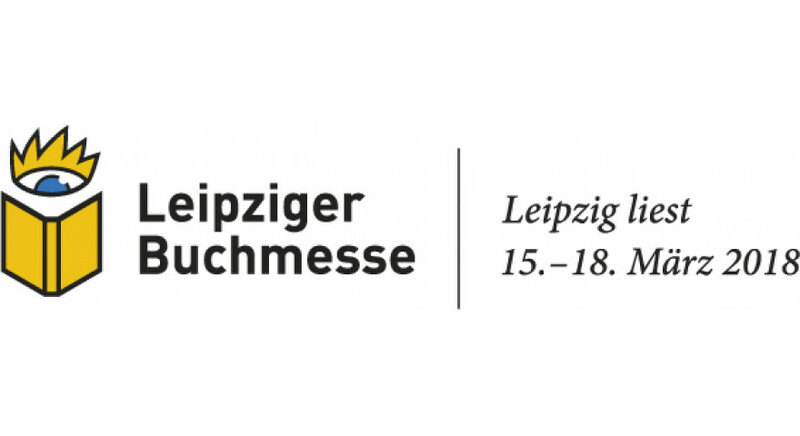 Tomorrow kicks off the Book Fair in Leipzig – one of Germany’s largest events for readers, writers, publishers, and representatives of the book and media industry. 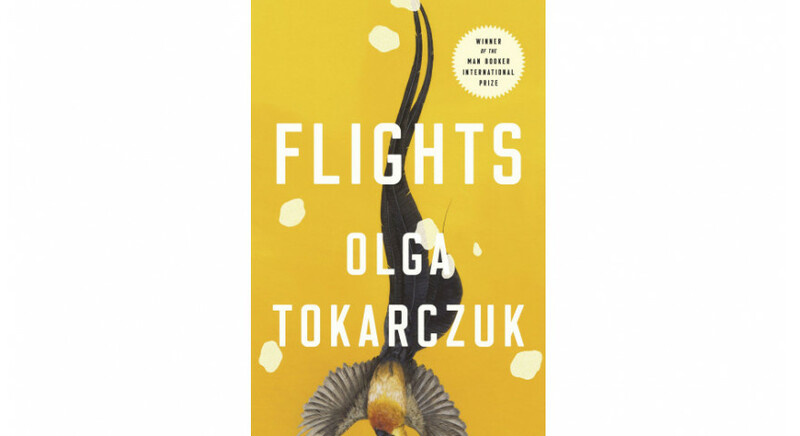 Olga Tokarczuk’s novel Flights has been put on the long list of books nominated for the Man Booker International Prize. 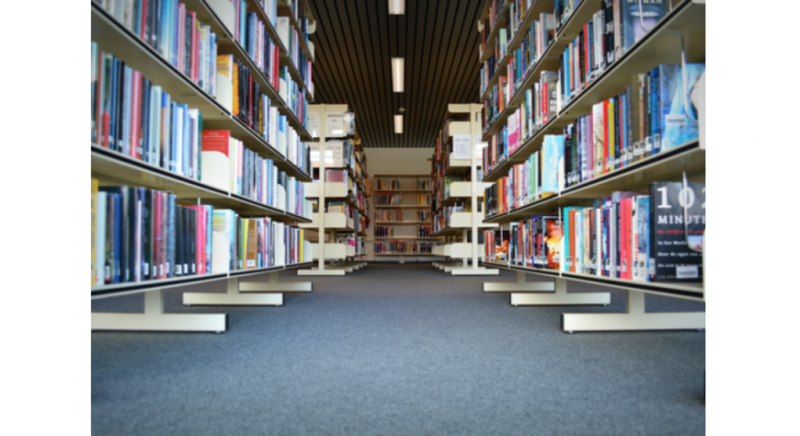 British libraries have received over a thousand copies of books by Polish authors. 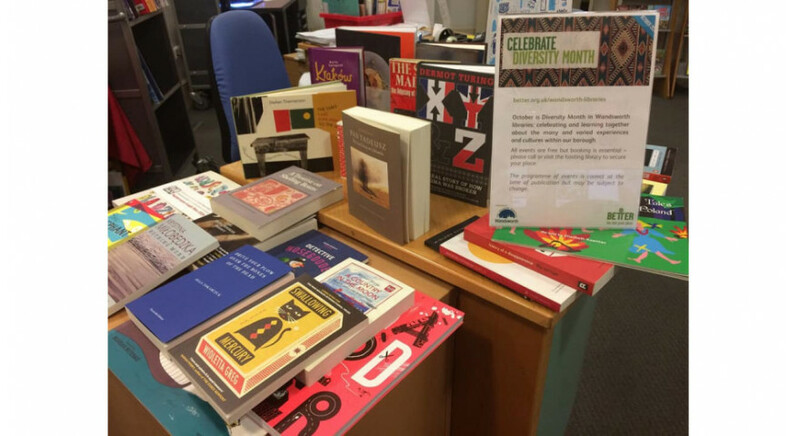 This is part of the “Polish Bookshelf Project,” carried out by the Book Institute, the Polish Embassy, and the Polish Institute in London, in cooperation with the Literka Association, European Welfare Association, and the Polish Educational Society. The social campaign "Small Book – Great Man" reminds us of the benefits of reading together in a family from the first months of a child's life. It was devised in connection with a nationwide campaign, as part of which young parents will receive unique Reading Layettes in maternity wards. The largest readership promotion campaign in Poland, and probably in the world. In this year's edition, in 500 cities and towns, there could be found free e-book rentals, available for everyone. They were available at bus stops, libraries, and cultural institutions. The Book Institute is a strategic partner of the campaign. Information on the current activity of the Book Institute and literary events. 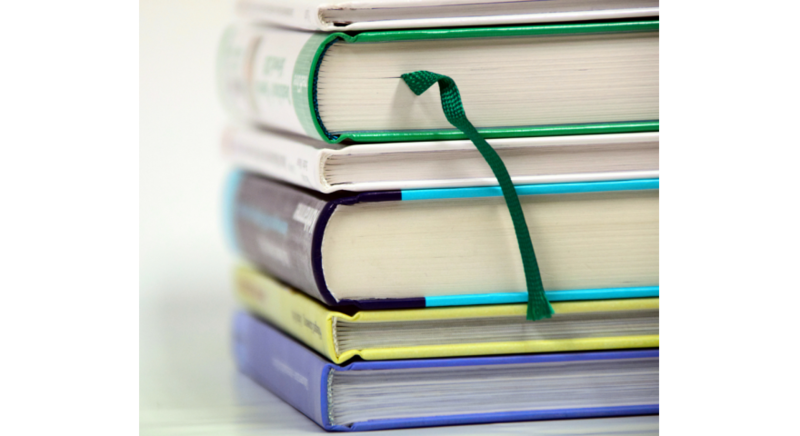 Publishers, literary agencies, translators, reports on the Polish book market.